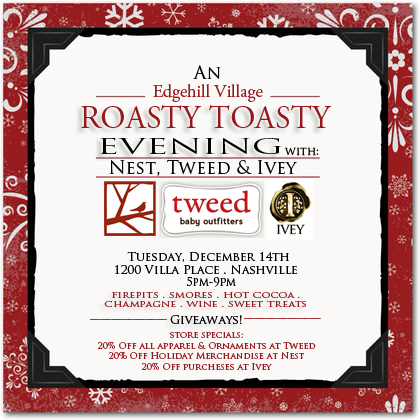 Nashville Holiday Sales & Events - It's Crunch Time! With only one week left until the big day, this is your last weekend to get that Christmas shopping finished before panic sets in. You need to be out shopping local, not reading, so let's get straight to the deals! 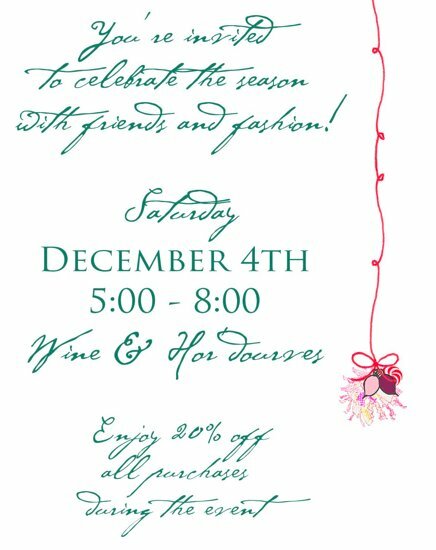 Local Honey's final Holiday Party in the Linden house is this Friday night! Mizzie and I were beyond excited to hear the news that Local Honey will be relocating to the Venus and Mars space on Belmont at the beginning of January. 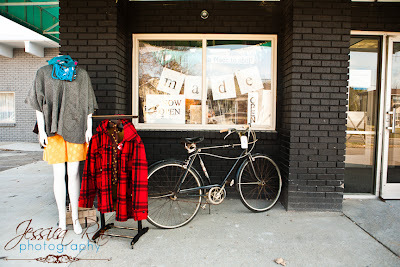 MADE - Look no further than our December Spotlight Store, MADE, for locally made goodness. There is a treasure trove of fantastic gifts here. Make sure you are a Stella Subscriber. 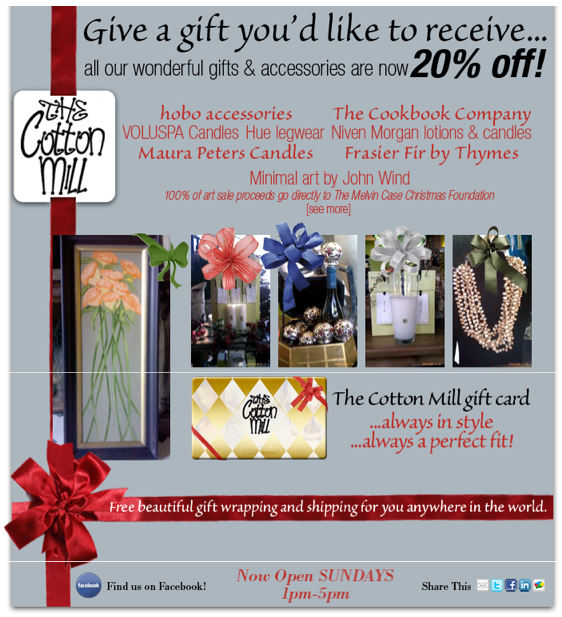 We have a 20% off coupon that is valid through December 31. Goodbuy Girls - Take 30% off your purchase through January 8, 2011, but you need to show this coupon when you check out. what's-in-store - The 12 Days of Christmas are in full swing! Every day is another discount. Check their website or our Boutiques page daily to find out what the deal is. 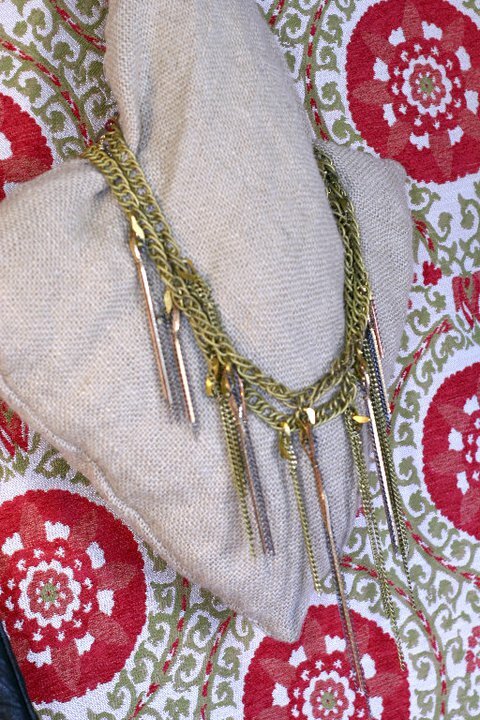 You can now find recycled and repurposed antique and vintage jewelry from Mimi & Dottie at the Franklin store. 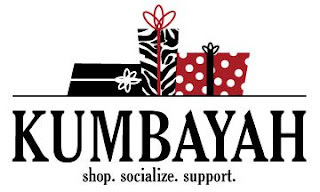 Kumbayah - This holiday pop-up bazaar, located next to whats-in-store, is full of locally-made goods and proceeds benefit a different local charity each day. Visit whats-in-store online for a full list of retailers and benefiting organizations. Sleeveless & Giador - There's no sale here at the moment, but I visited with Kyah and Lindsay last night and I couldn't not mention this store this week. Ladies, listen up! This is where you need to be sending your significant others for prezzies. Whoa! From the uber-cool Sleeveless cuffs, necklaces, wallets & bags to Giador's beautiful stackable ring collection, gorgeous estate jewelry and now the classic Marvin Watch collection, there is something in everyone's price range here. Beautiful. 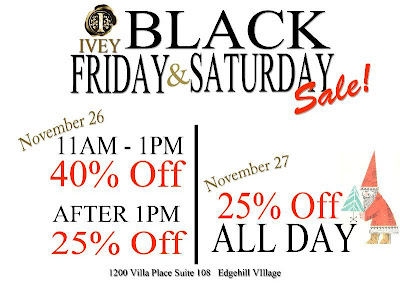 Ivey - Friday only, take 10% off of your purchase. 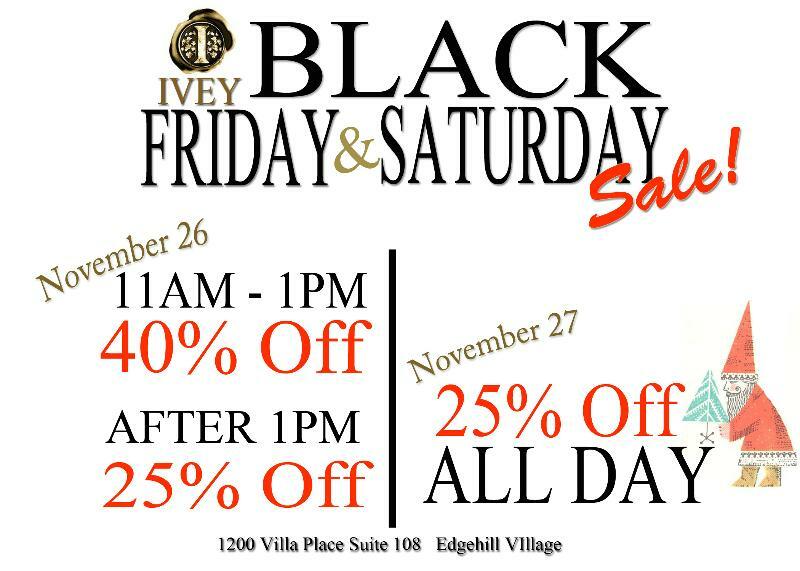 Ivey's new location in Edgehill next to Tweed is fantastic and there are tons of great options here to dress up or down. Plus they carry Prairie*Go*Round knits! Gin-O Boutique - Every day is a different special deal. 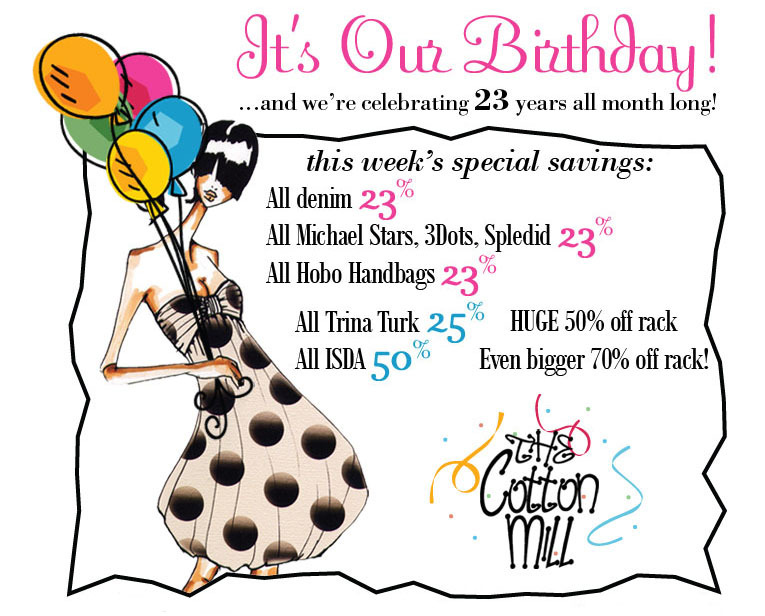 Visit Gin-O's Facebook page or our Boutiques page to find out the daily deal! 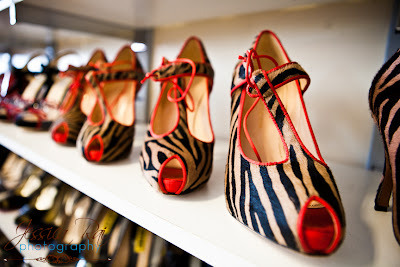 Stacey Rhodes Boutique - Select items have been marked down to 75% off! Cosmetic Market - Select items are up to 75% off. Posh - Now through Christmas, buy one pair of denim, get a second pair 25% of. Billy Reid - New items marked down to 50% off in store and online plus complimentary shipping and gift wrap on all orders through Dec. 25. We'll have updates for you all weekend long on Facebook and Twitter. 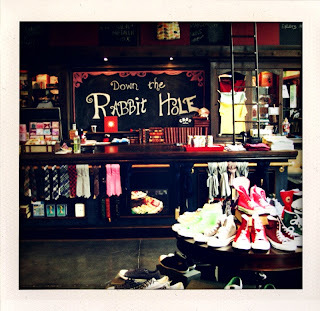 Make sure you visit our Nashville Boutiques page daily to find out what sales are happening each day. This is a quick list that's easy to pull up on your iPhone or Droid phone. 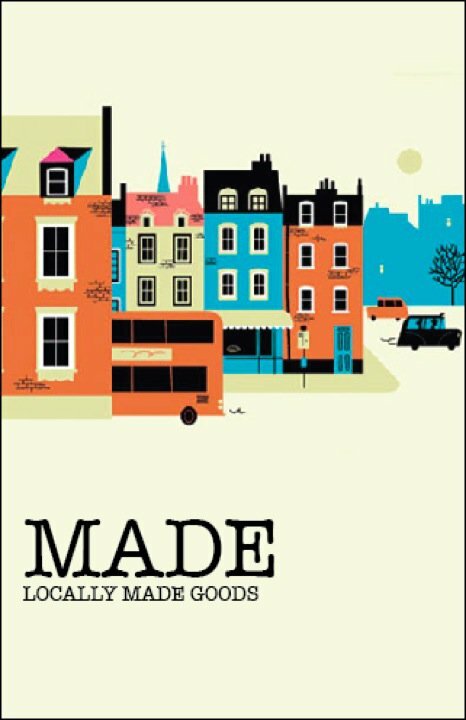 Remember Shop Local this season! 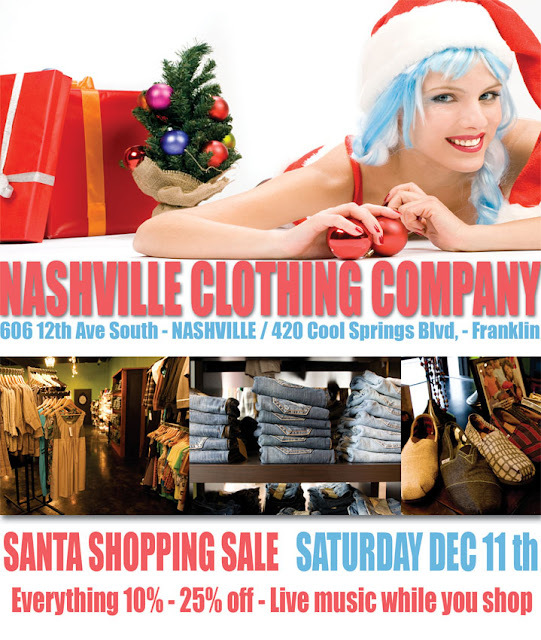 This Saturday is Nashville Clothing Company's Santa Sale at both the Gulch and Cool Springs locations. Everything will be on sale and the Gulch location will have live music. All Harambe beaded jewelry is 20% off through Christmas. Proceeds from these beautiful bracelets, necklaces and earrings go to eXile international who provide art therapy to war-affected children in Africa and advocate for them around the world. 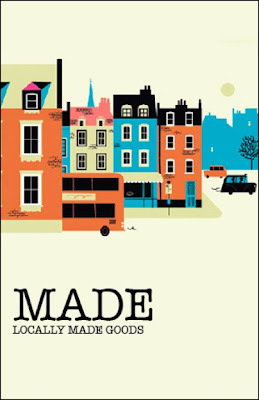 More than half of my holiday shopping is finished thanks to MADE. Our December Spotlight Store is a mecca for locally-made art, clothing, accessories, vintage apparel and tons more. Through Sunday, handmade pillows are 20% off. Make sure you're a Stella email subscriber! We have a special coupon valid through December 31. 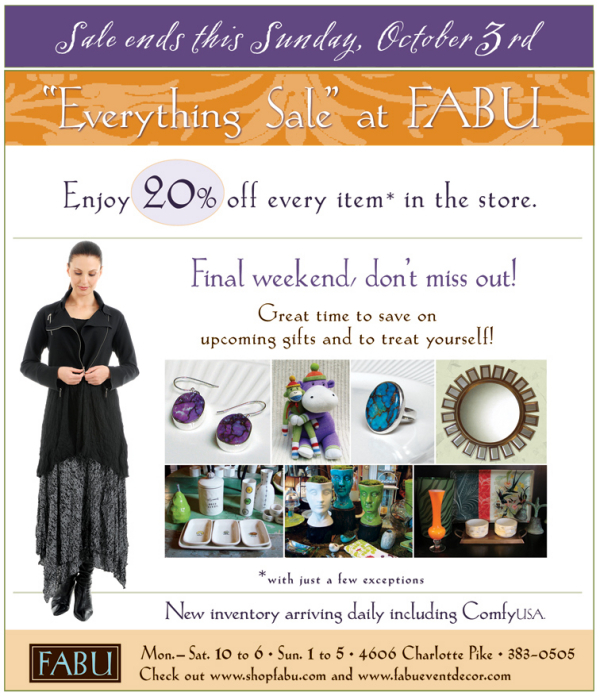 After you're finished shopping at whats-in-store in Edgehill, stop by Kumbayah right next door. This holiday pop-up bazaar is full of locally-made goodies and proceeds benefit a different local charity each day. Visit whats-in-store online for a full list of retailers and benefiting organizations. 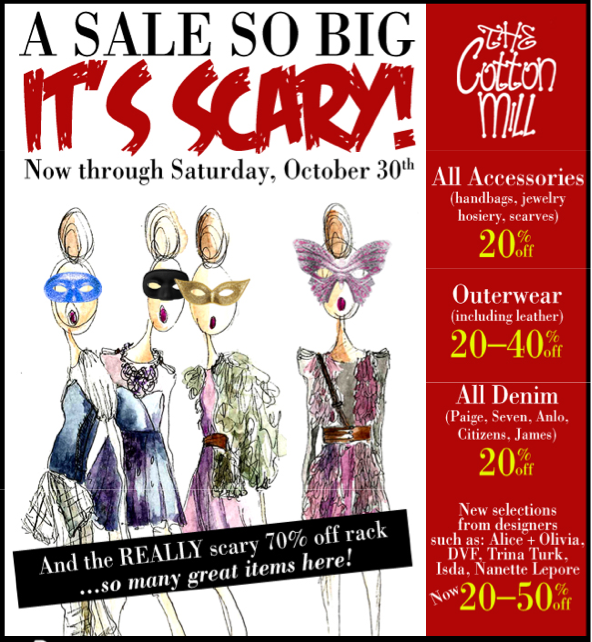 The Cotton Mill in Grace's Plaza has sale items all around the store, so while you check out the latest collection of Milly that just hit the store, you can score some great deals too. Now through Christmas at Posh, buy one pair of denim and get the second pair 25% off. Did you know they now carry Nicole Richie's House of Harlow jewelry line. 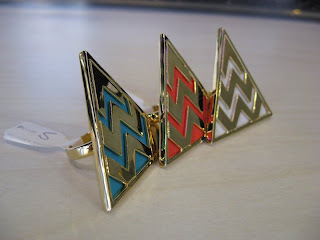 I'm loving these rings right now. When you're finished at Posh, run across the street to Billy Reid. Their Holiday Sale is happening now and select styles in store and online are up to 50% off. Some gorgeous pieces are on sale, so this is definitely worth a look! Have you been to Two Elle lately? There is still a great sale going on, but what's even better is all the new merchandise! 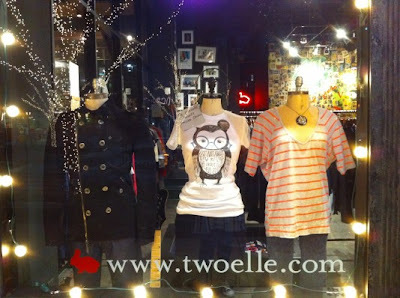 Some super gifts can be found here and make sure you check out the Jedidiah tees, like the Owl shirt shown on the mannequin. Jedidiah has partnered with Invisible Children and proceeds from the sale of these tees (there are several designs) go toward raising money for their Female University Scholarship Fund. Don't leave the Hill Center without stopping by Monkee's to check out all of their great shoes, boots, accessories and stocking stuffers! Plus there are still some shoe and apparel markdowns. This is one holiday party you'll definitely want to work into your schedule next week. I hope you find everything you're looking for this weekend and more! We'll make sure we keep you updated on all of the sales and cool merchandise we find. 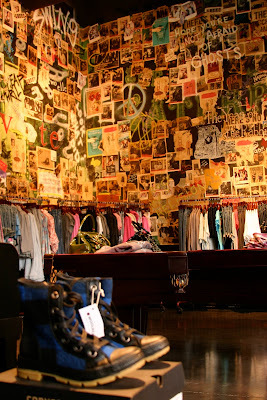 Be sure to regularly check our Nashville Boutiques page for a quick list of all the sales. We're updating this page daily through the holidays! 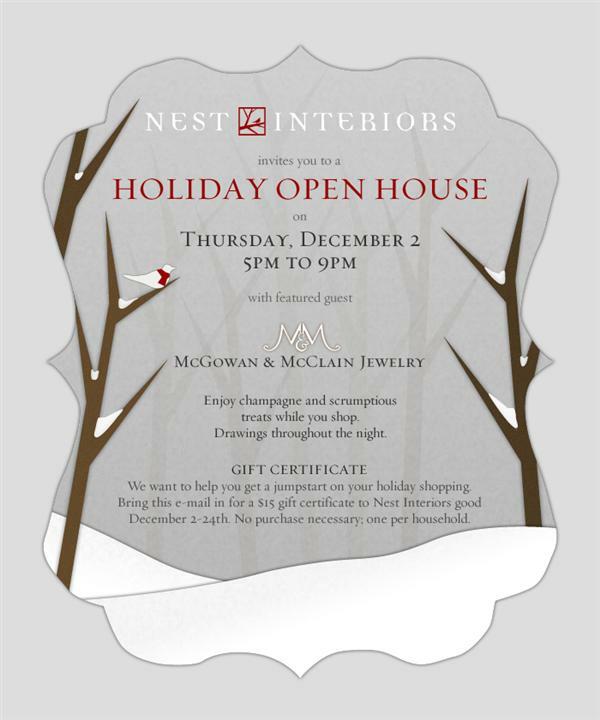 The boutique Open House could be the perfect way to shop. There is always bubbly. There are always sweet treats. And there is always a special discount. What's not to love? You get to go to a party and shop. This weekend there are a slew of Open Houses, so you should count on being very busy Thursday through Sunday. You're not going to want to miss any of these. Mizzie and I love McGowan & McLain's jewelry. You'll definitely want to see what they bring to Nest. Don't forget your donation! Items being collected are listed in the invitation. 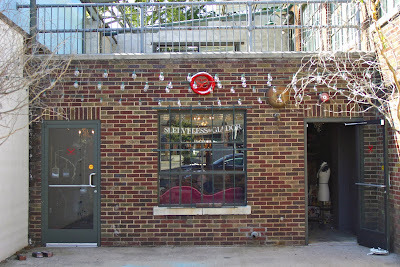 Rumours on 12 South is hosting their Annual Holiday aRT Open House Saturday from 2-6pm. Locally-made goodies, including scarves, gloves and hats from one of our faves, Prairie*Go*Round, will be available for purchase and of course, there will be delicious treats and bubbly too. This one's going to be amazing. If you have plans for Saturday, that don't include this boutique crawl, change them. This is the only place you should be. Mizzie is sad to be missing this one. We both love Baby Bear Shop products and of course, the Green Wagon. 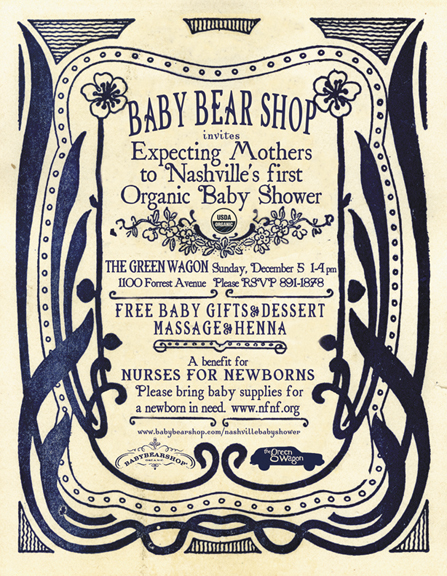 If you know of any expecting mamas, let them know about Sunday's Organic Baby Shower. 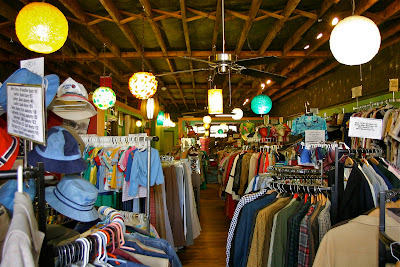 While you're at Edgehill Village this week, stop by Kumbayah next to what's-in-store. "Kumbayah" or "Come by Here" is a holiday pop-up bazaar created by what's-in-store owner, Dena Ferrell Nance. You can find locally-made goodies here and proceeds benefit a different local charity each day. You can learn more about the retailers and see the list of benefiting organizations on Kumbayah's Facebook page or at whats-in-store.com. You have a busy weekend ahead of you. Make sure you visit our Boutiques page daily for sale updates. Have fun and happy shopping! It's official! Lexus Nashville Fashion Week will be held March 29-April 2, 2011. Mizzie and I are absolutely thrilled. There is an abundance of incredible design talent here who have largely flown under the radar. Finally, they're starting to get the attention they deserve. Did you see the November issue of Nylon Magazine? Nashville Fashion Week is the frosting (chocolate ganache, please) on what is already a delicious cake. Proceeds from the event will benefit the newly established Nashville Fashion Forward Fund. This fund, administered by The Community Foundation of Middle Tennessee, will be awarded annually to advance the career of select local talent with demonstrated experience in a fashion-related field. For more information, check out the Nashville Fashion Week website and make sure you follow them on Twitter and Facebook to get all the latest updates. We'll have updates for you too, so stay tuned! This is going to be a lot of fun. Ease Into Black Friday. Shop Local. Shop Often. Let the Black Friday shopping hysteria begin! I can't believe it's time to usher in another holiday season. Mizzie and I hope that through our weekly sale and event posts, we can make it a little easier for you to shop local this season and throughout the year. Don't forget Saturday is Small Business Saturday. A few stores are having additional discounts that day or extending their Black Friday deals. We think every day should be small business day! Let's get right to the sales. Stores are divided up by shopping district and we'll continue to add sale information as we collect it. When you're on the go, you can quickly access the sale information on your phone by going straight to our Nashville Boutiques page. Local Honey - Everything in the store will be 30% OFF all day on Friday. This includes clothing, purses, jewelry, scarves, and handmade goods! 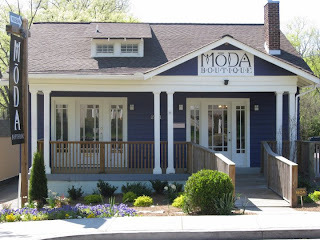 Moda Boutique - Everything black in the store will be on sale. This includes apparel, accessories and jewelry. Nashville Clothing Company - Buy one item get a second item 50% off all day Friday at the Gulch and Cool Springs locations. Also, NCC has a clothing/shoe drive benefitting the Nashville African Refugee Ministry until Nov. 30. Bring in items to donate and get a $10 gift card good for use in December or January. 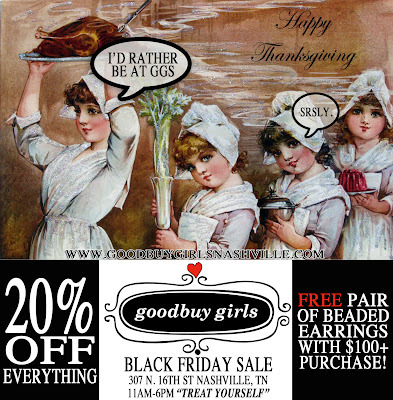 Goodbuy Girls - In addition to Friday's 20% off sale, the GG's will have extended hours through the holidays. Starting Nov. 27, they'll be open seven-days a week! 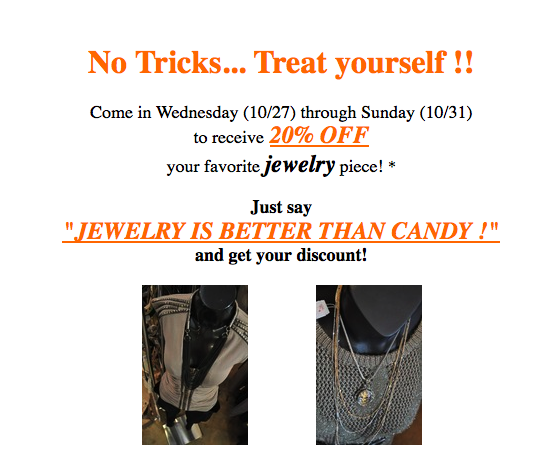 Hip Zipper - Take 20% off your purchase. And don't forget your Stella Subscriber coupon is valid through November 30, so you can take advantage of 20% off through the end of the month. 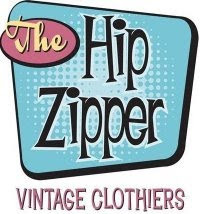 The Hip Zipper has tons of new stock out including coats and blazers, scarves, hats, gloves, shoes, purses, jewelry and kids clothes. 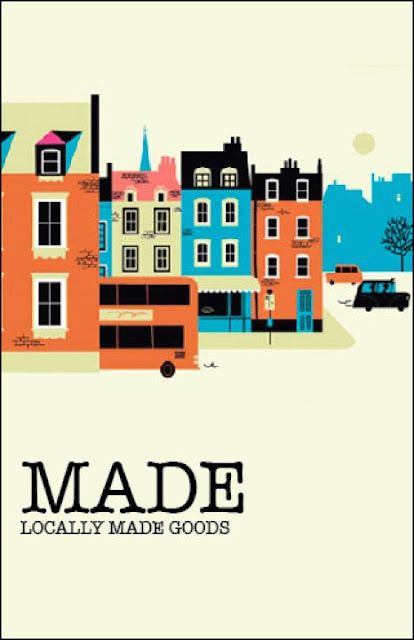 MADE - You'll be learning a whole lot more about MADE very soon. What you need to know now is that this is THE place to go for those perfectly unique and very affordable gifts. This small space is stocked full of locally made goodies from owner, Ashley Sheehan and other Stella faves like Amanda Valentine, Prairie-Go-Round, Shannon Lea and Shea Steele. Ivey - Mizzie & I love having Ivey in Edgehill Village. Visit their brand new location next to Tweed. Sleeveless - We are still obsessed with Sleeveless' cuffs and necklaces and now their wallets and laptop bags (Stunning!). 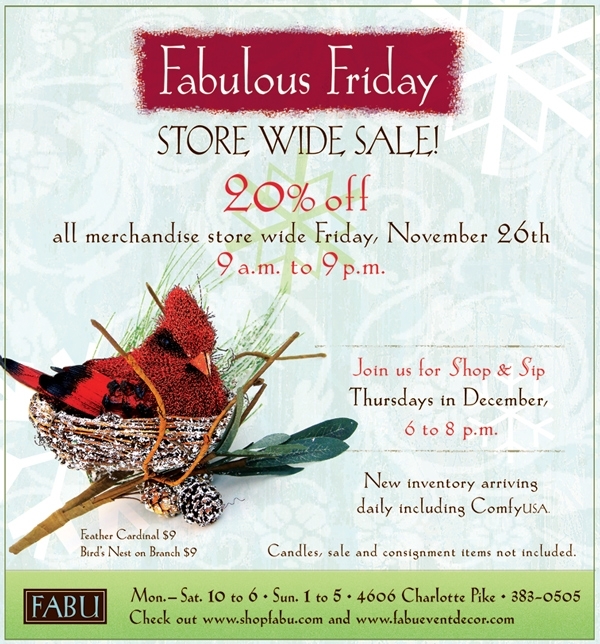 Sleeveless is offering 20% off this Friday and Saturday. And don't forget your Stella Subscriber Discount is valid in store or online until Nov. 30. Make sure you receive Stella in your email inbox to get your coupon and online codes. what's-in-store - This deal is valid at the Edgehill Village and Franklin stores. 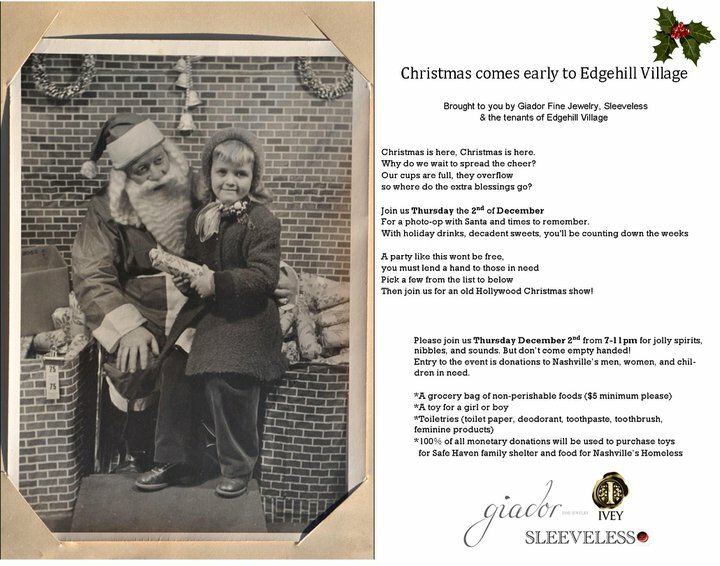 Adjacent to the Edgehill Village store will be a "pop-up holiday bazaar" called Kumbayah. A wide variety of unique items will be sold here and proceeds will benefit a different organization daily throughout the month of December. We'll have more information about Kumbayah in a future post. 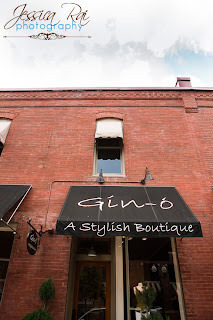 Gin-O Boutique - Take 25% off all clothing from 9am-11am and 15% of all clothing from 11am to 7pm on Friday only. 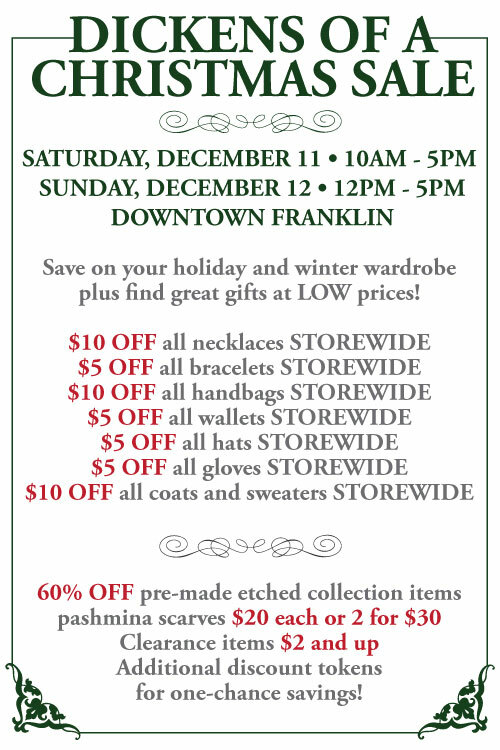 Posh -This Friday and Saturday, take 20% off all coats, boots and sale merchandise and take 25% off all Botkier handbags. Specs Optical - (in the Mall at Green Hills, next to Sephora) is offering $120 off a complete pair of glasses on Black Friday—that's frames, prescription lenses, and anti-reflective coating. 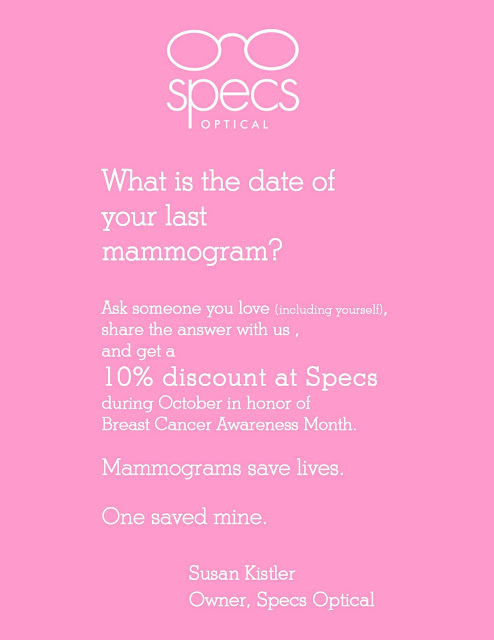 "Like" Specs on Facebook, and they'll extend that deal for you until Thursday, December 2. Our favorite rabbits have been working very hard revamping Two Elle and stocking it with recession-friendly items that we're all going to love. New lines include Brandy Melville and Alternative Apparel for men & women. 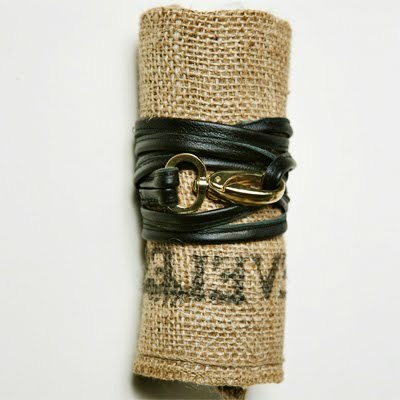 Two Elle has also teamed up with Jedidiah in their initiative to raise money for Invisible Children. There are still some amazing sale items available too! Woo Skincare & Cosmetics - Woo's Black Friday deal gives you 15% off of specific product lines, but the products change every 2 hours! 10am-12pm-all jewelry. 12pm-2pm-all candles. 2pm-4pm-all hair accessories. 4pm-6pm-all "2-Loops" bags. 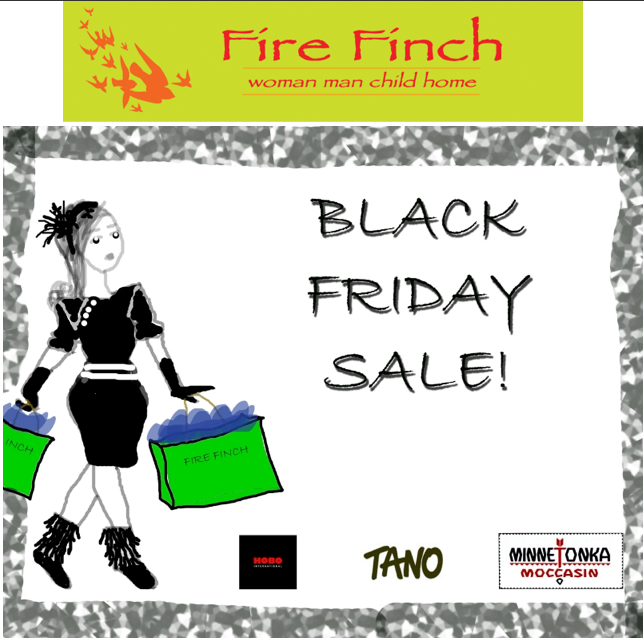 Fire Finch - Take 10% off all BLACK items. This includes TANO, Minnetonka, and HOBO. 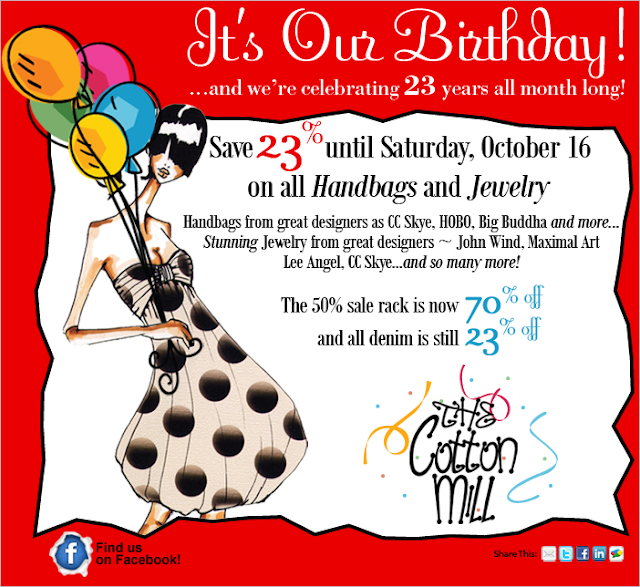 This offer is valid at both the Hillsboro Village and Downtown stores. Feedback Clothing Co. - This student run store on Belmont's campus carries clothing and accessories from many independent Nashville designers. Everything at Feedback will be 30% off on Friday and there will be a raffle to win merchandise. Venus & Mars: The Showroom - Sadly, this amazing vintage store is in it's final days, but there are still some fabulous finds here. Stop by before Monday! 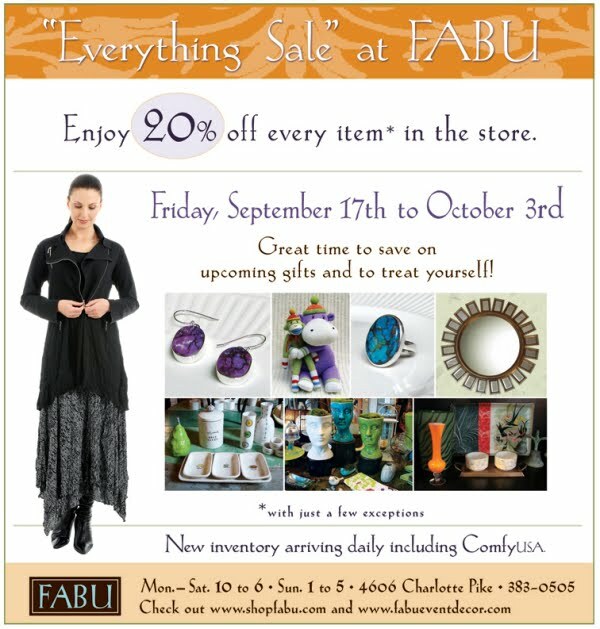 Fabu - I always find great gifts at Fabu. 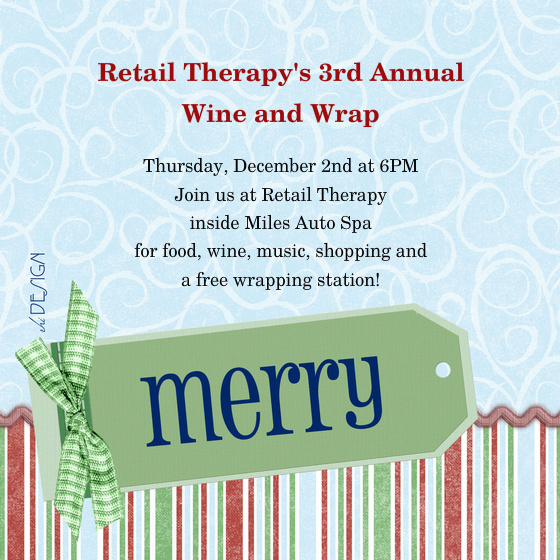 Join them on Thursdays in December for their Shop & Sip evenings. 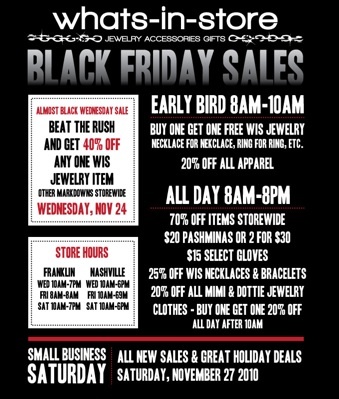 Studio 615 - Friday only, Studio 615 & The Sole of 615 has a Black Friday sale on all purchases over $100. 9am-12 noon, everything is 30% off and noon-close everything is 20% off. This includes everything in the store, even sale items! UAL - Rise and shine and head to UAL. From 8am-10am everything at UAL will be 20% off. This includes all sale merchandise. 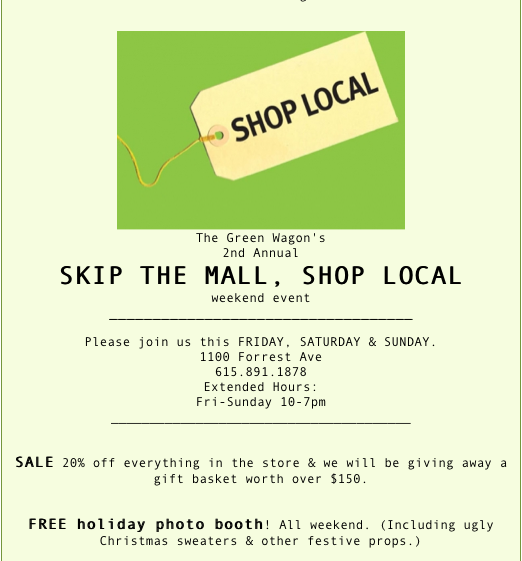 Now you have no excuse to not shop local! 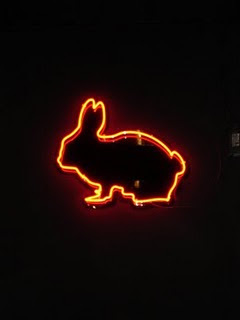 We'll post updates throughout the weekend on Twitter and Facebook and for a quick hit list of sales go to our Boutiques page. Mizzie and I have lots to be thankful for this year and one of those things is that we have such amazing readers. We can't thank you enough for all of your kind words and support! 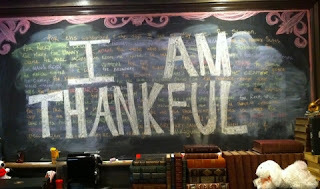 Have a Happy Thanksgiving and Happy Shopping! This weekend I'm going to try and start working on my holiday shopping. I still feel like it's a little early to be talking about the holidays, but the crazy post-Thanksgiving hysteria is only two weeks away! We've got a few good sales for you and some fun events this week, so let's get to it. Your future's so bright, you probably need some new shades. Too much? Sorry, I couldn't resist that. 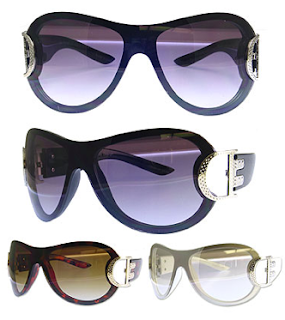 Head over to UAL this weekend and check out their amazing collection of designer sunglasses that are all 30% off. There are still some GREAT deals to be had at Two Elle. Steven Alan shirts, Built By Wendy and Modern Amusement dresses, not to mention all the tees, jackets, jeans and skirts...all at fantastic prices. Did you get your Stella coupons in your Inbox? If so, then you should have a 15% off coupon and online coupon code for our November Spotlight Store, Sleeveless in your hot little hand. And make sure you check out our Facebook page to see a few extra photos from the Sleeveless shoot. You should also have a 20% off coupon for our October Spotlight Store, The Hip Zipper in your email too. Trisha has all of her Fall/Winter goodies out now for women and men, so it's the perfect month to shop. If you don't have an email with your coupons, you can sign up at the top right corner of the blog or send us an email on the contact page. 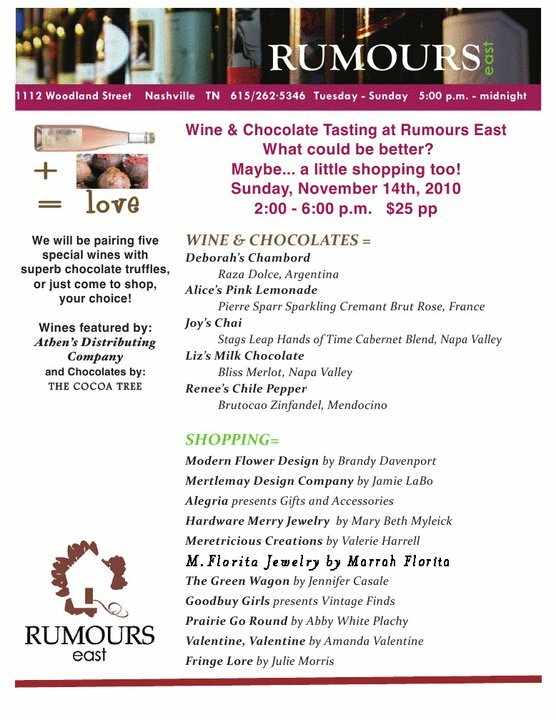 Wine, chocolate and shopping....could there be a more perfect event?! I'm pretty excited about this one, especially since some of our faves will be there selling their goods. Amanda Valentine, Abby White Plachy of Prairie Go Round, the Goodbuy Girls, the Green Wagon and more will have booths set up there. 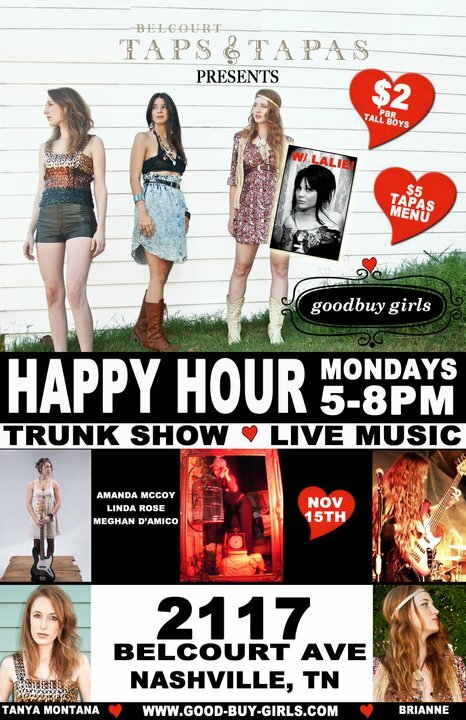 The last GG Happy Hour and Trunk Show is this coming Monday, Nov. 15. I've only made it to one of these happy hours, and it was a ton of fun. This coming week's is definitely on my calendar! 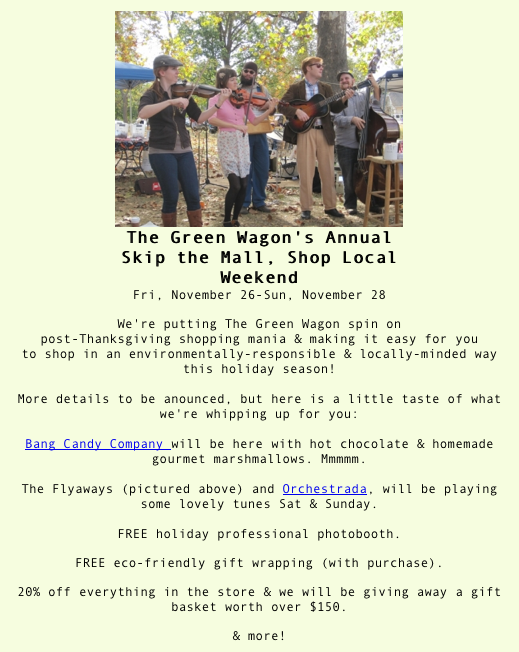 Mark your calendars for Thanksgiving weekend at the Green Wagon. They had me at Bang Candy Company. Have you had these marshmallows yet? The chocolate chili flavor is heavenly. As everyone gears up for the holiday shopping season, I think we'll be a little light on sale info for the next few weeks. We're definitely not going to be lacking in the event department though. Make sure you stop by our November spotlight store, Sleeveless! 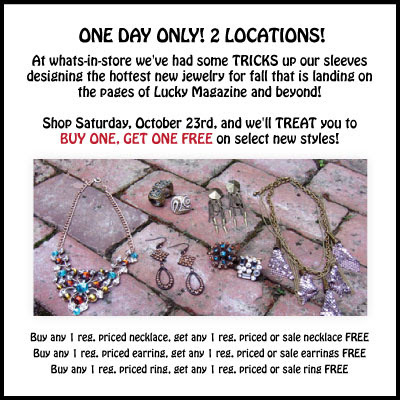 Did you get your Stella Shops email last week? If so, then you had a lovely little 15% off coupon sitting in there. Need a coupon? Sign up and we'll send one to you. 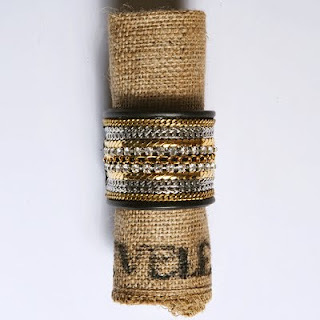 Sleeveless' beautiful bracelets and necklaces make perfect presents...and you know you want one. :) Since you have a coupon and an online code, November seems like it might be the perfect month to make your Sleeveless purchases. Hint hint. Our October spotlight store, the Hip Zipper is offering 20% off to our subscribers this month. This is another great offer! The Hip Zipper was voted Best Vintage Store in the Nashville Scene's Best of Nashville Readers Poll. 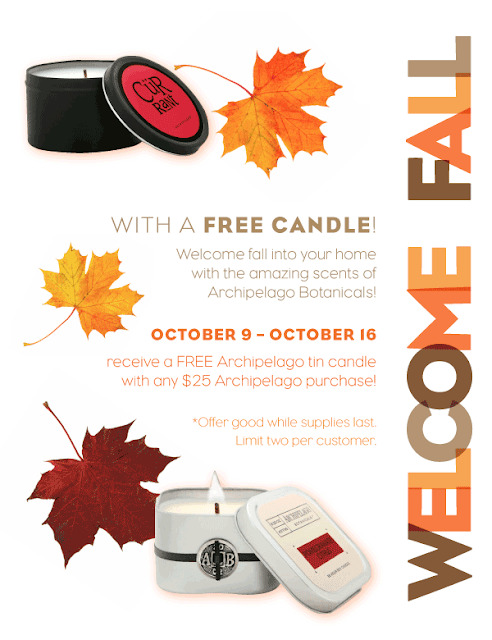 Their Fall and Winter goodies are out now! 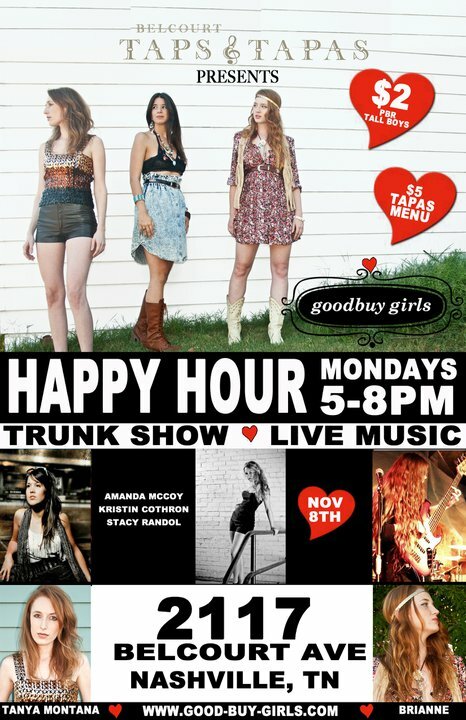 There's only two Goodbuy Girls Happy Hours left! Great music, drink specials and a trunk show. I had a great time at the happy hour a few weeks ago. This is truly the best way to close out a Monday. I'm really looking forward to this Wine & Chocolate Tasting at Rumours East on Sunday. First of all, it's wine and chocolate. I don't need much more motivation than that to attend, but some of my favorite designers and shops will be there too. I'll have another sale/event post for you later this week. 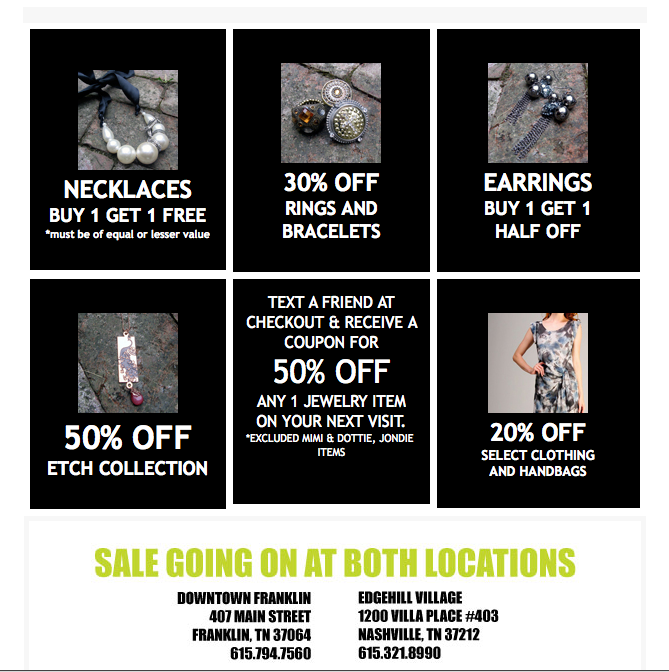 Head to UAL this weekend for a special jewelry discount through Sunday. Nest Interiors in Edgehill Village has some of the coolest Halloween decorations in town. You can get them 40% off through Sunday! As a special treat this weekend, our favorite Two Elle Rabbit, Rachel, has marked down all women's and men's Steven Allan shirts to $49.99. Do you have a reusable Nashville Clothing Company bag? If so, you can take 20% off any regular priced item this weekend. While you're in East Nashville this weekend, stop by our October Spotlight Store, the Hip Zipper to see what vintage goodies Trisha has for you. Make sure you're on our Stella email list. We'll have a special subscriber coupon for you for the Hip Zipper next week. 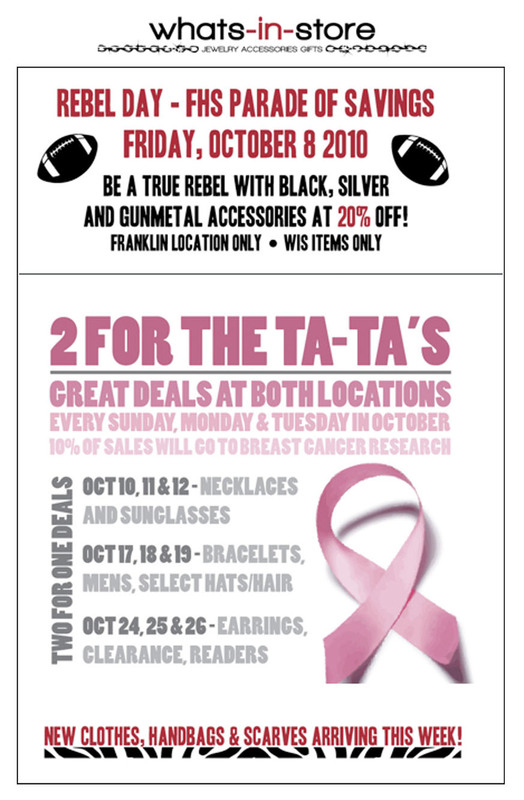 It's a special weekend at Monkee's! Grab a cocktail with handbag designer, Katie Kalsi on Friday from 4:30-7pm and Saturday is the big Frye Trunk Show featuring Katie's fabulous handbags. Mark your calendars for next week! Mizzie and I hope everyone has a happy and safe Halloween! Finally, it's Fall in Nashville! And what better way to kick off the weekend then with a Fall Artisan Fair? The Edgehill Artisan Fairs are always terrific and Saturday's fair will have close to 30 vendors! With so many more shopping and restaurant options now, Edgehill is the perfect place to spend your afternoon. 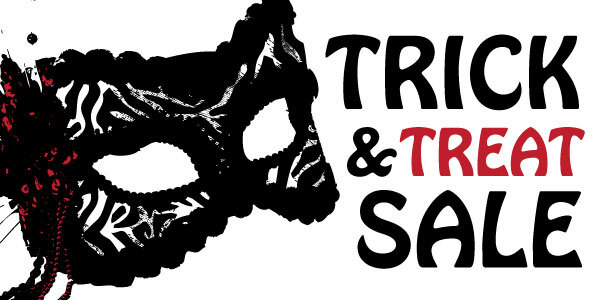 As part of Saturday's Artisan Fair, it's trick or treat time at both whats-in-store locations. This sale is definitely a treat! Buy one get one free on regular & sale price necklaces, earrings and rings. I kind of lied about starting your weekend off at the Artisan Fair. 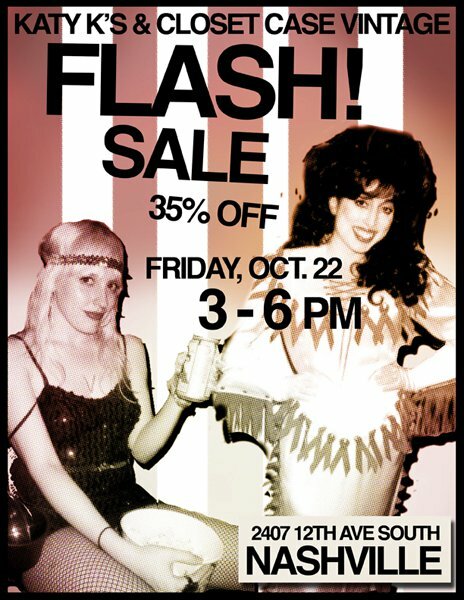 Really, you should start your weekend at the Closet Case Vintage & Katy K's Flash Sale. While I was at Edgehill Wednesday night (told you I spend a lot of time there), I ran into our favorite Two Elle rabbit, Rachel. She told me she still has some great markdowns, so it sounds like you need to add a trip to the Hill Center to your list of stops this weekend. Did anyone buy the gray leather Modern Amusement motorcycle jacket? Yes, I have a jacket obsession, but that jacket rocked. Trisha has stocked the Hip Zipper with lots of new merchandise this week, so stop by this month's Stella Spotlight Store and see what great pieces you can pick up. October is Breast Cancer Awareness month and Monkee's and Specs Optical have two special campaigns going on through the end of the month. Mark your calendar! Next Saturday is Monkee's Frye Trunk Show. I am a little obsessed with that Frye over-the-knee boot and a little bummed I'm going to miss this trunk show. 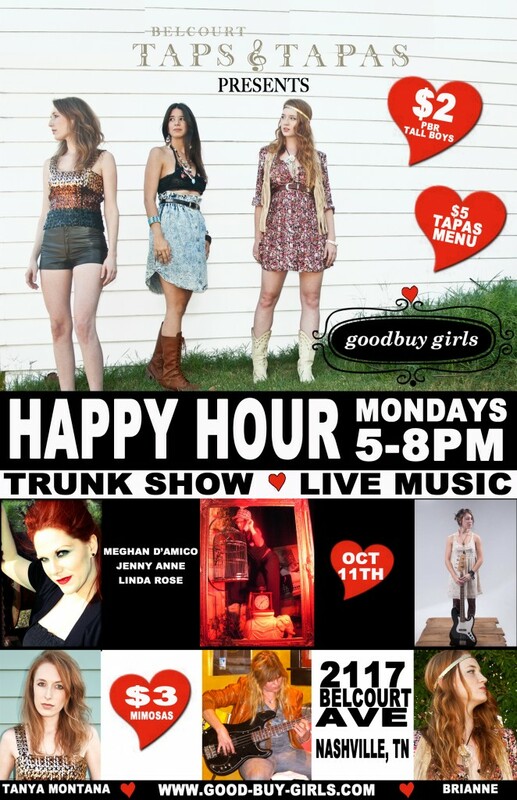 Monday night means Goodbuy Girl's Happy Hour time! I missed this week's happy hour, but am going to try and make it next week. Those GG's know how to throw a rockin' happy hour. We'll post more sale info as we get it! Make sure you follow us on Twitter and Facebook. We update sale info as we find it. 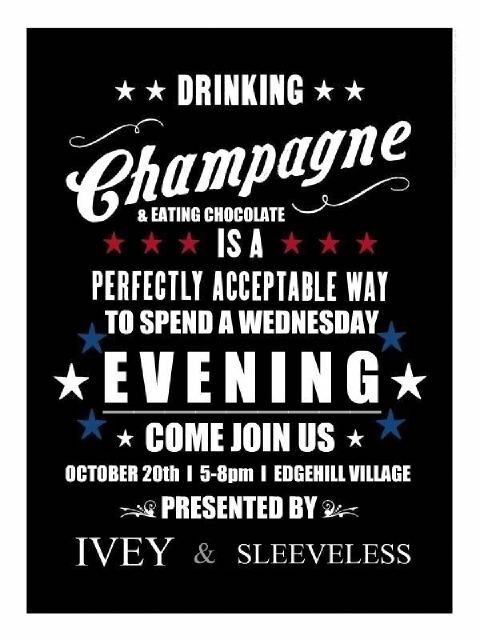 I know event posts usually happen on Thursdays, but some of Mizzie & my favorite shop owners are hosting Happy Hours Monday & Wednesday. We didn't want you to miss out! 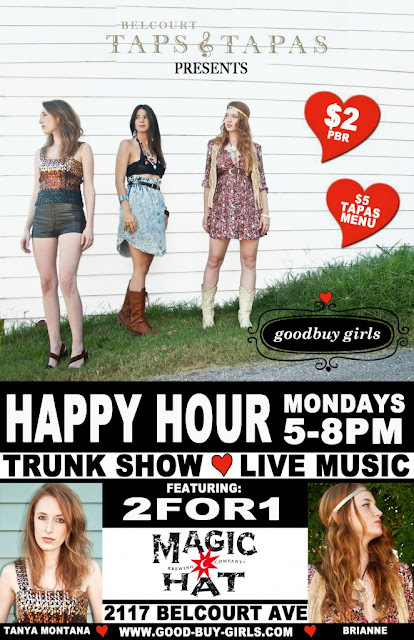 End your Monday the right way...with the Goodbuy Girls at Belcourt Taps & Tapas. If you haven't been yet, you are missing out. I came in toward the end of last week's Happy Hour and it was a ton of fun, plus there were some great deals to be found at the GG Trunk Show. Our friends at Ivey & Sleeveless must have been talking to Stephanie at Nest. 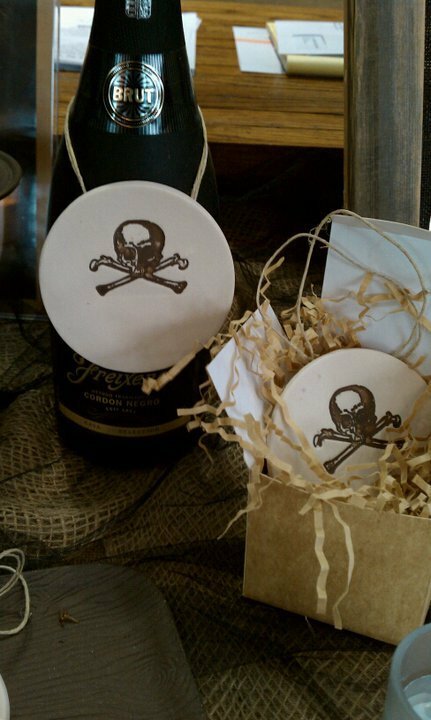 How else would they know the way to our hearts is through champagne and chocolate? And yes, this is a perfectly acceptable way to spend a Wednesday. Enjoy! I'll have more sales and events for you later this week. You're going to want to spend most of your day in East Nashville on Saturday and you're going to want to start your morning at Libby Callaway's house. We all know that Libby hosts some pretty amazing sales at Diamond Star Halo Vintage, but this Saturday, she's having a yard sale at her house and it will be 95% clothes. It's probably not much of a stretch for me to say this could very well be the BEST yard sale you will attend this year. (I almost hated to tell you about it.) As a heads up, there won't be any tags on the items, so show Libby what you want and she'll name the price. Of course the more you buy, the better the deal. Hours are 9am-12pm and the address is 1020 N. 16th St at Sharpe Ave. Don't forget to bring cash or checks! There's a new store in East Nashville that we can't wait to visit! 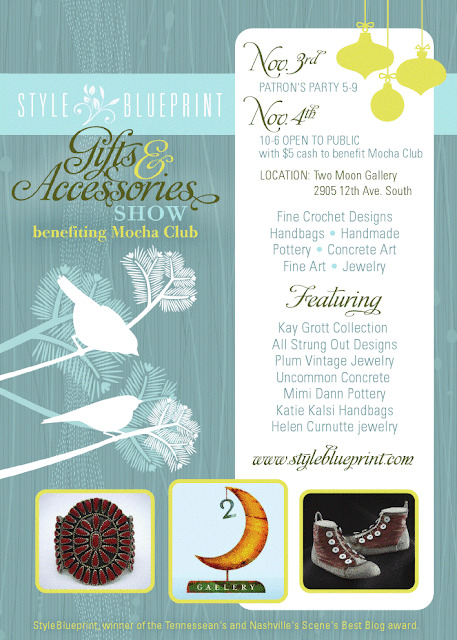 Made will feature local vendors who create everything from art to jewelry with a little vintage sprinkled in too. Stop by Saturday from 11am-6pm. 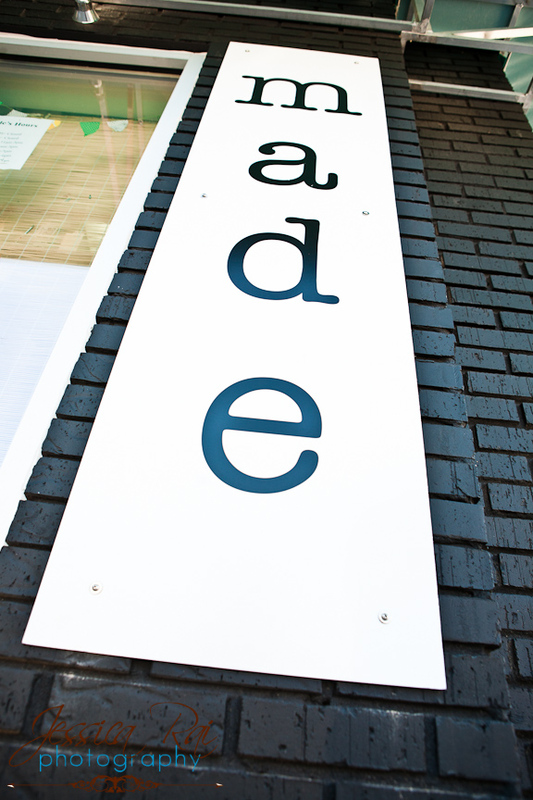 Made is located at 717 Porter Avenue. 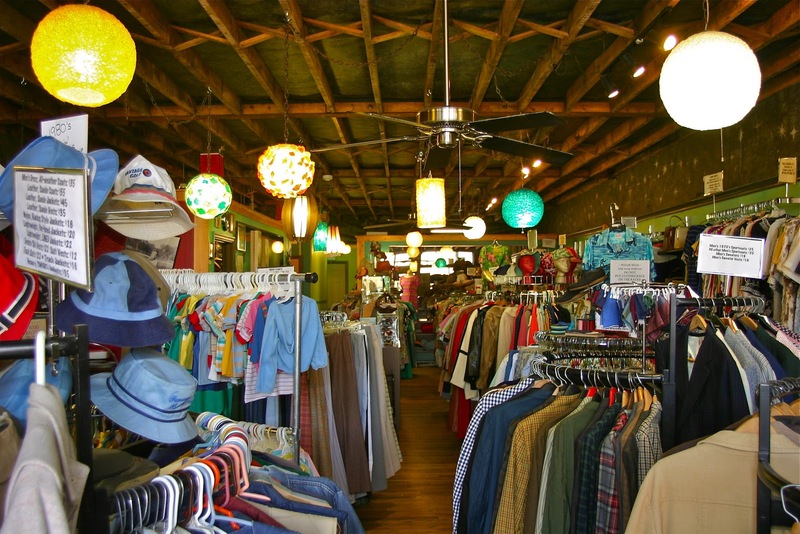 You should definitely round out your morning of vintage shopping by stopping by our October Spotlight Store, the Hip Zipper. There are some amazing finds here! The Hip Zipper is open Saturday from 12-7pm and Sunday from 11am-6pm. 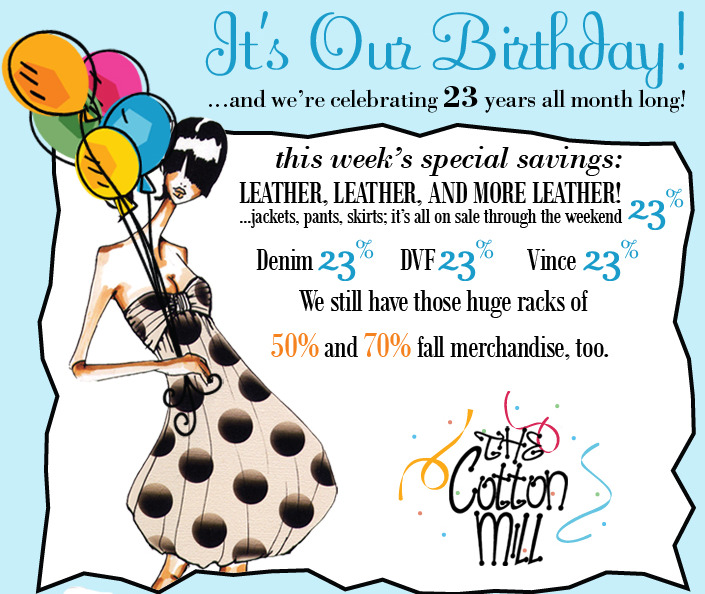 The Cotton Mill is celebrating their birthday all month long. The savings here are huge and I've resisted the urge to see what deals I can find for a few weeks now, but this might be the weekend I finally cave. 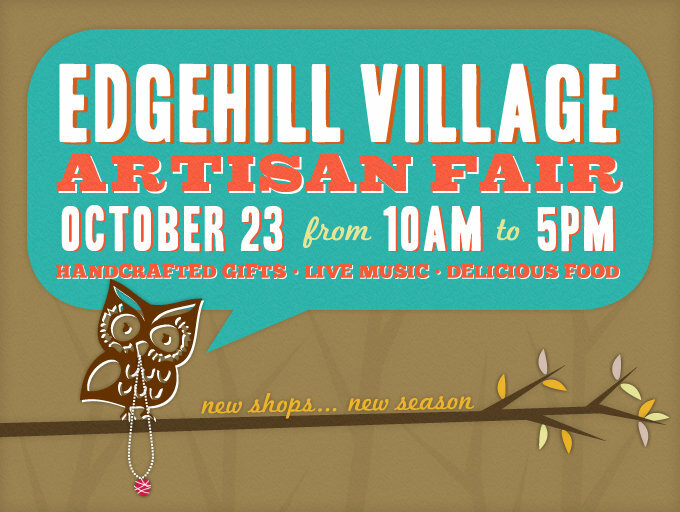 Have you been to Edgehill Village lately? It's no secret that Nest Interiors is pretty much Stella headquarters, but in addition to that, there are some equally fantastic shopping options. 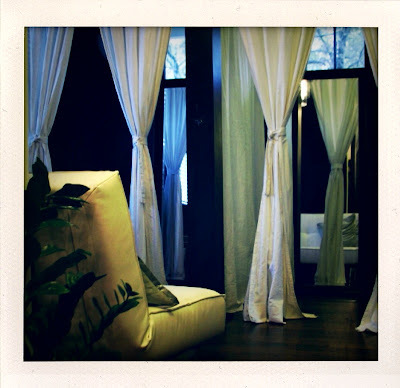 You can easily spend an entire afternoon here. Mark your calendars for Oct. 23, because not only will you be able to shop Nest, Tweed, Sleeveless, Ivey, whats-in-store and the Free Will Clothing Co., but you'll also be able to shop a slew of vendors who will be selling their handcrafted wares at the Edgehill Village Artisan Fair. This is one event we look forward to every year. 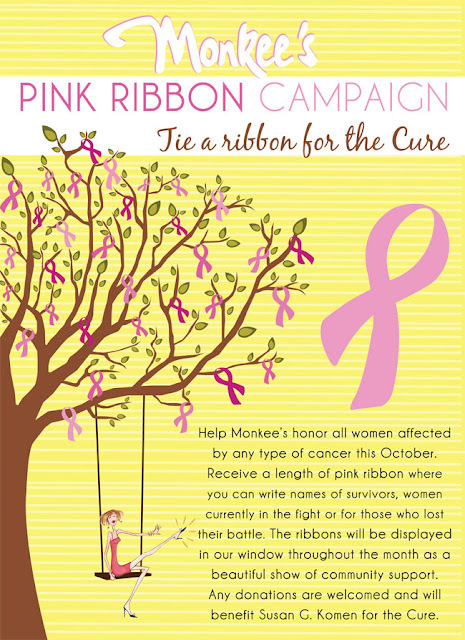 October is Breast Cancer Awareness Month and you can show your support through the Pink Ribbon Campaign all month long at Monkee's in the Hill Center. 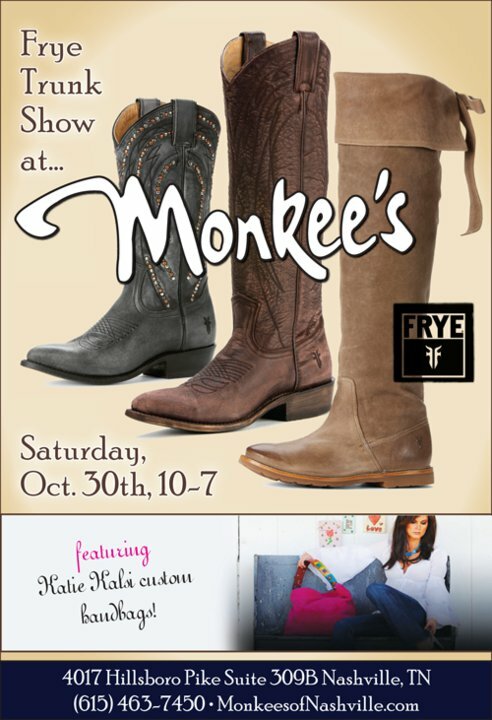 Mark those calendars for the Frye Trunk Show on Oct. 30! We hope to see you around this weekend! A big congratulations to the winners of the Nashville Scene's Best of Nashville Reader's Poll. 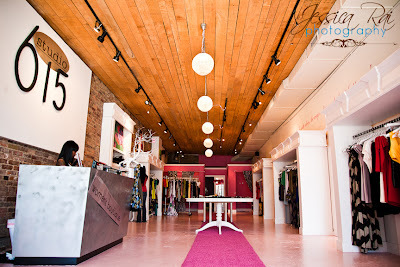 Mizzie and I were pretty excited to see some of favorite boutiques make the list, including three Stella Spotlight Stores - the Hip Zipper, Goodbuy Girls and Moda Boutique! Congrats ladies!! 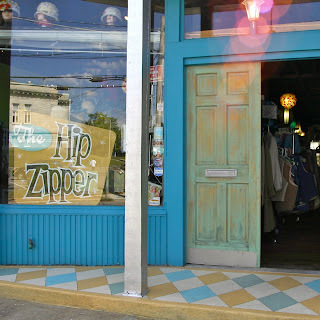 Stop by our October Spotlight Store, the Hip Zipper, in East Nashville this weekend and congratulate Trisha! The Hip Zipper won Best Vintage Store. We'll have a special Stella Subscriber Discount to Hip Zipper in November, so make sure you're on our Stella Shops email list. The Cosmetic Market is running a special deal on Archipelago Botanicals. I am a sucker for these candles. When you're finished at the Cosmetic Market, head down the street to Private Edition. 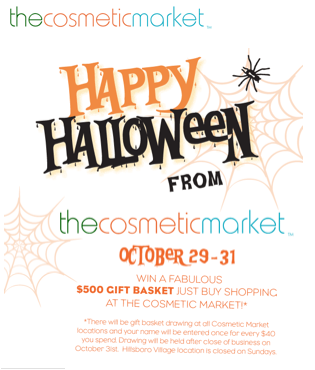 Mizzie will be doing makeup there this Saturday from 12-5pm. 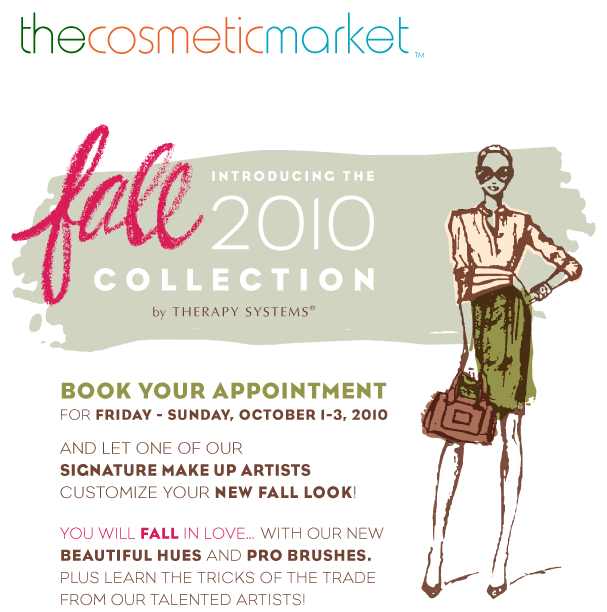 Stop by, say hi and let her show you the Therapy Systems Fall collection. Start your Monday off right with a Goodbuy Girls Happy Hour at Belcourt Taps & Tapas. 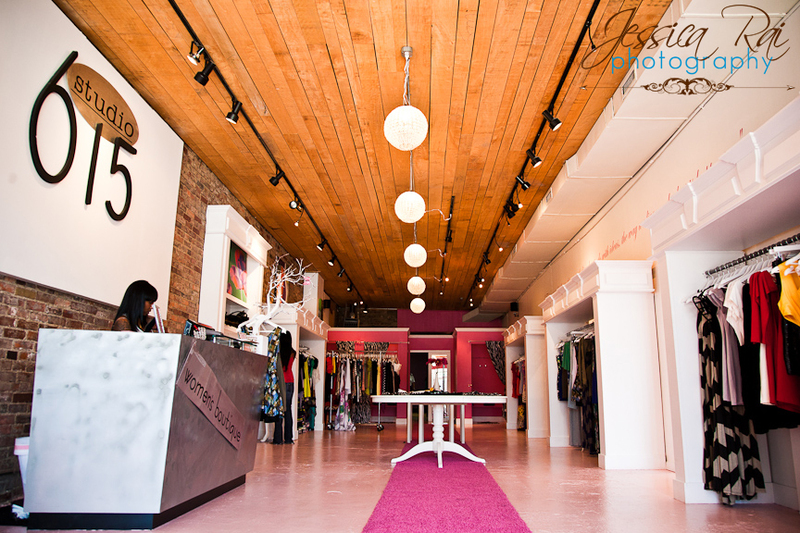 Our favorite GG's won Best New Retail Store and Best Business to Follow on Twitter! What better way to celebrate Fall than with a Smores Party?! 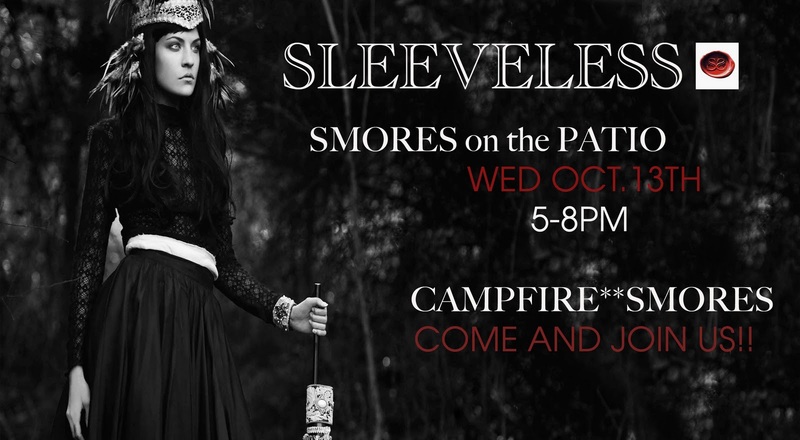 Join the lovely ladies of Sleeveless for Smores on the Patio at their beyond cool shop in Edgehill Village. 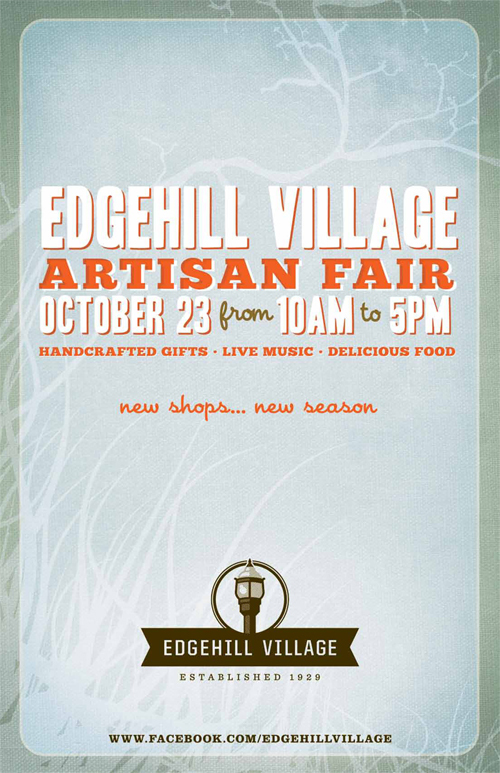 Get ready for Edgehill Village Artisan on Oct. 23rd. This event always has amazing vendors, so we're really looking forward to it. Congratulations to Monkee's, winner of Best Local Shoe Store! 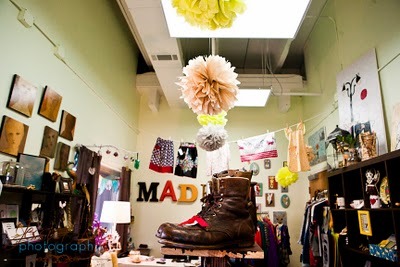 Nashville Vintage Sales, Local Designer Markets and Happy Hours! 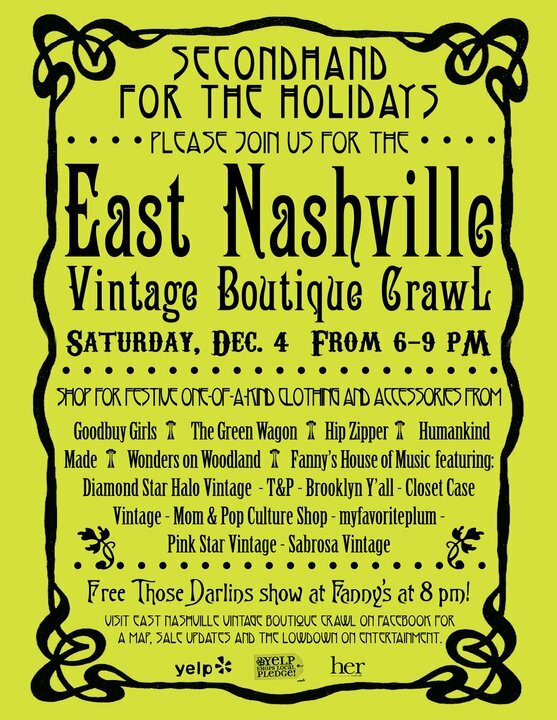 It's going to be a GREAT Saturday in Nashville for vintage and local designer shopping. I have to admit, I'm pretty excited about it. 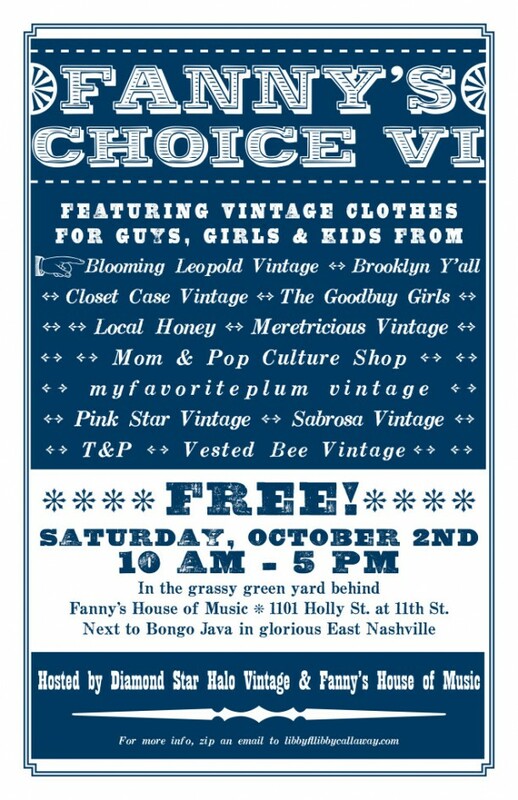 Start your Saturday out right with Fanny's Choice VI presented by Diamond Star Halo Vintage and Fanny's House of Music. I love Fanny's Choice events. Libby Callaway of DSHV does a tremendous job gathering Nashville's best vintage dealers in one place. This installment of Fanny's Choice will host 13 dealers! 13! Get there early to get the best selection and don't forget to bring cash. Most vendors only accept cash or checks. Once you've finished your vintage shopping, you should head down to Urban Outfitters in the Gulch for the Naked Without Us Fashion Market presented by Next Big Nashville. 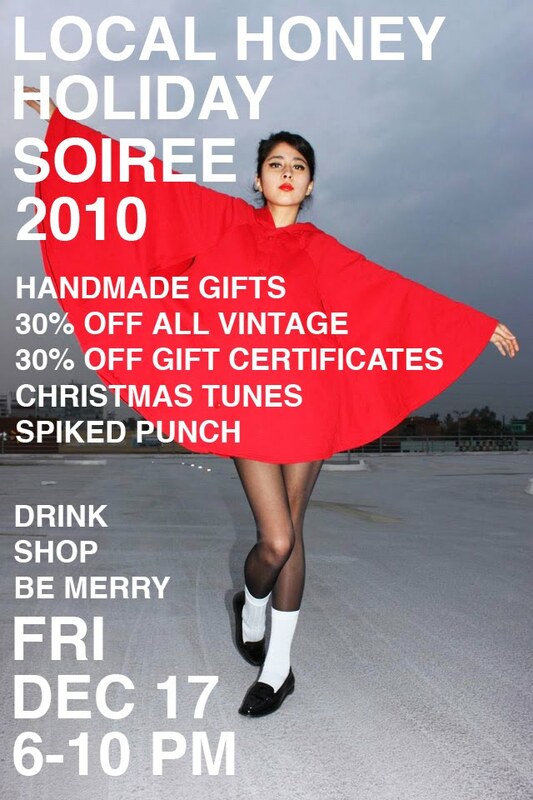 Here you can shop some of our favorite local designers, check out more Closet Case Vintage and hear live music too! I posted yesterday about how much I love Therapy System's Better Than Cover concealor. This weekend's your chance to try it for yourself. Mizzie will be doing Therapy Systems makeup application at Private Edition on Friday and Saturday from noon-5pm both days. Book your appointment! I know how you can make your Monday better. Join the lovely Goodbuy Girls at Belcourt Taps & Tapas for Happy Hour from 5-8pm! Click the flyer below. There may be a coupon in it for you. Carla and I finally made it to The Golden Age of Couture exhibit at the Frist last week on the very last day it was open. To be fair, Carla had already seen it, and after spending a good three hours perusing the garments she was happy to enjoy it a second time. 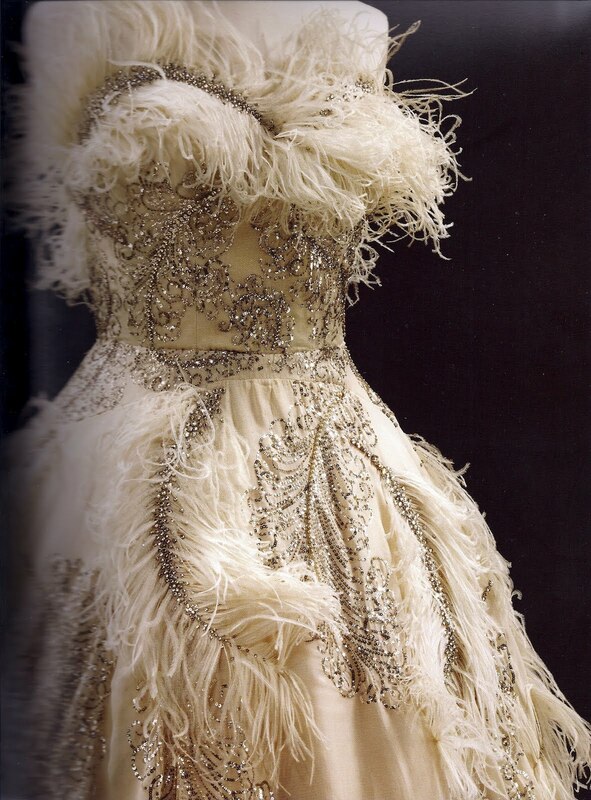 Our favorite piece was this Balmain Dress from the early 1950's. In fact, we were impressed with all the Balmain dresses. They were so edgy for their time and we felt they were still quite current, aside from one canary yellow gown with a large stiff bow perversely placed right in front of, well.. the area you would not want a bow unless you were Dita Von Teese maybe. 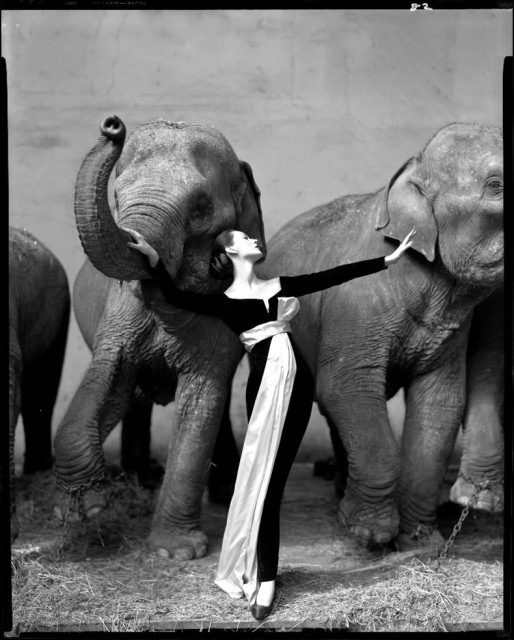 We also loved seeing this iconic image of the elegant model Dovima with Elephants. I recently watched Rankin recreate this image with Erin O'Conner in his Seven Photographs that Changed Fashion program. Stunning! 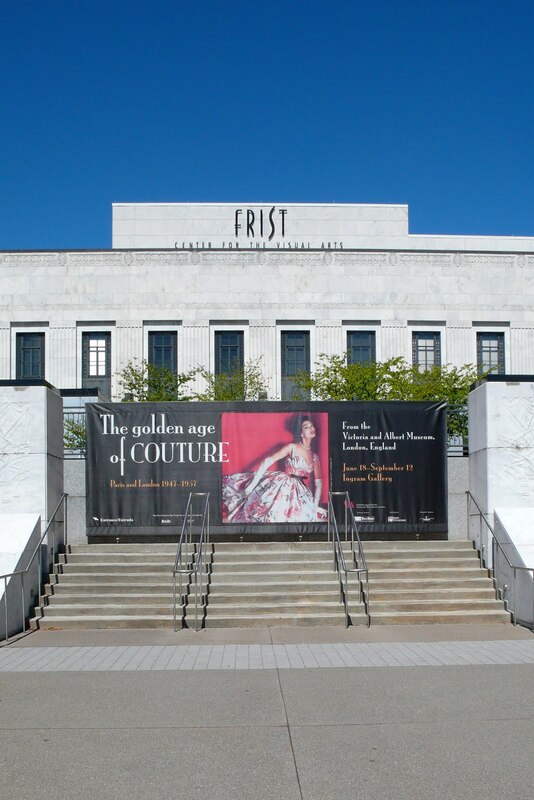 What an honor for The Frist to be the only museum in the U.S. to host this phenomenal collection of Couture. We know so many of you enjoyed this exhibit as much as we did. What were some of your favorite pieces? I love Las Vegas. And I'm not talking about the Disney-fied, fun for the whole family Vegas of today. I'm talking about the glamorous and decadent Vegas of the 1960's. The Vegas where you went to see the Rat Pack at the Sands, played Baccarat at the Sahara, saw newcomers like Barbra Streisand at Caesar's Palace and most definitely left the kiddos at home. This Friday, September 24 is your chance to experience the glamor of 1960's Vegas right here in Nashville at Casino Couture at the Gaylord Springs Golf Club. Sharpen up those gaming skills as you'll be able to play poker, blackjack and roulette all while enjoying 60's era cocktails and other treats. Casino Couture is presented by the Little Black Dress Club and is a benefit for the Mary Parrish Center, a therapeutic residential community for women and children affected by domestic violence. Purchase your tickets online at www.casinocouture.eventbrite.com. Use the code "Stella" to get $10 off! Mizzie and I are already on the hunt for the perfect vintage dresses for the occasion and we can't wait to see all the Vegas-inspired attire. We'll be taking photos all evening and looking for the best interpretations of the era. Channel your inner Audrey Hepburn, Julie Christie or Elizabeth Taylor and let's hit the town. Vegas, baby, Vegas! It's been such a busy week here at Stella Shops that I can't believe it's already the weekend! There are so many events to tell you about I'm flipping around the sale and event post for and leading with the events this week. Mizzie and I have been working hard getting ready for our big day Saturday! We're so excited for our Girls DIY Day Out with Nest Interiors. We hope you can stop by and say hello! Saturday is chock full of cool events. 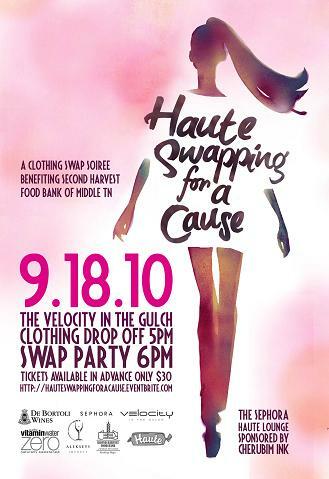 Get those swap items ready and after you swing by Nest to hang with Mizzie and me, head over to Velocity for Haute Swapping for a Cause. The Local Honey Fall Fashion Weekend is a definite must on your calendar. This is a two day extravaganza of local designer goodness. Saturday, Sept. 18th is the Local Designer Fall Premier from 2-9pm and Sunday, Sept. 19 is the Local Honey and T&P Fall Fashion Show from 6-10pm. Click HERE or on the photo for all the details. Next week, the nD Festival benefiting the Belcourt Theatre kicks off on Wednesday, Sept. 22 and concludes with The EnD Fashion Show on Sunday, Sept. 26 featuring Imogene + Willie, Billy Reid and Alabama Chanin. Check our special nD Festival post for all the details! 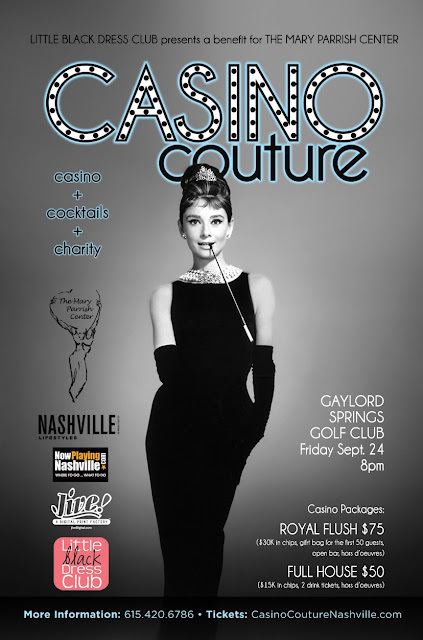 The Little Black Dress Club hosts Casino Couture next Friday night. The Gaylord Springs Club will be transformed into 1960s Vegas inspired by the Rat Pack and Audrey Hepburn. Sharpen up those gaming skills since you'll be able to play poker, blackjack and roulette in a ballroom that will take you back to that decadent Vegas-era. Purchase your tickets online HERE and enter the code "Stella" to take $10 off your purchase. Proceeds from the event benefit the Mary Parrish Center. And now it's sale time! 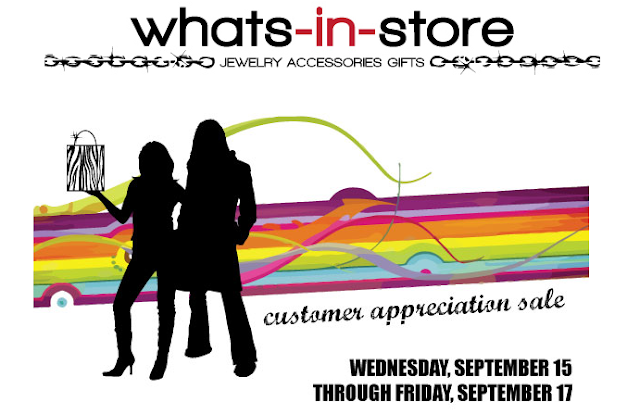 We've been tweeting about this sale this week, but Friday is the last day for whats-in-store's Customer Appreciation Sale. 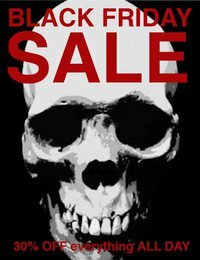 The Hip Zipper's September Sale is still in full swing. All men's or women's short-sleeved or sleeveless items are 25% off. This includes summer dresses, cowboy shirts, sweaters and leather vest. Also ladies purses, bags, shoes, boots, etc are 40% off! 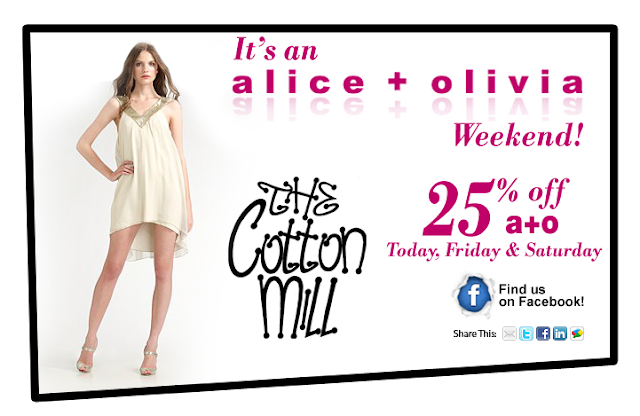 The Cotton Mill has a great selection of alice + olivia and this weekend you can take 25% off. There are still crazy deals to be had at Two Elle. I hope two lucky Stella Shoppers have snatched up those gray Modern Amusement leather jackets that I loved. Speaking of crazy deals, make sure our September Spotlight Store, UAL, is on your list this weekend. Are you getting Stella in your Inbox? We'll have a special UAL deal for you very soon so make sure you're signed up. This weekend we have another special deal for you. Ivey on Main has relocated from Franklin to Edgehill Village and is now "Ivey." They've given us a special discount for you this weekend, so check your Inbox! 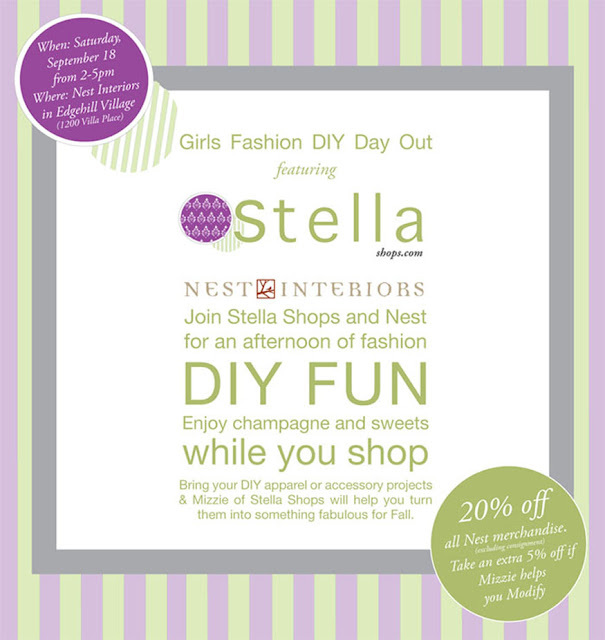 Have a fantastic weekend and we hope to see you Saturday at Nest for some Stella Shops DIY fun. Film, Fashion, Music...these are a few of our favorite things (along with cupcakes, chocolate & champagne, but that's another story). Lucky for us the three come together in Nashville next week at the nD Festival, a celebration of independent film, fashion and music. 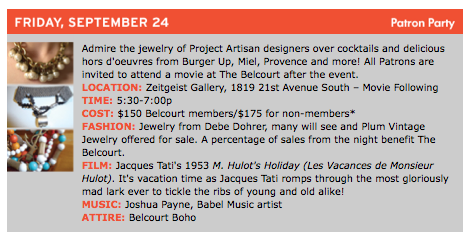 This week long festival is also a fundraiser for the mecca of indie film, the Belcourt Theatre. The week is like a mini boutique crawl through some of Nashville's most fashionable local shops. Start your week with Whiskey & Wine Wednesday at Billy Reid, H. Audrey and the Cosmetic Market in the Hill Center, then make your way to 12 South on Thursday for Supper, Song and Cinema at Imogene + Willie. Friday is the Patron Party at the Zeitgeist Gallery in Hillsboro Village featuring jewelry from the Project Artisan designers. Saturday start your day with brunch at the Belcourt and Mimosas, Marys and a Movie. 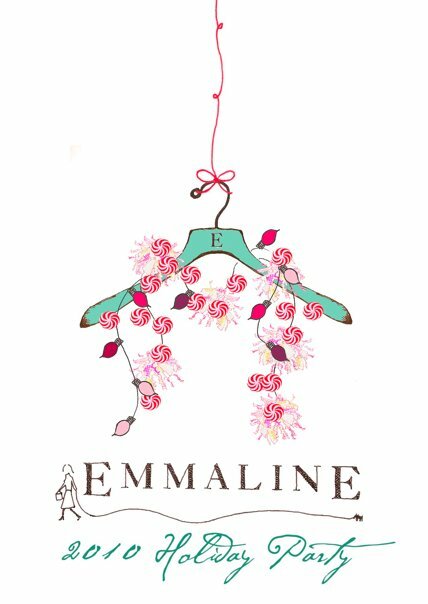 And the nD festivities close Sunday evening with the EnD Fashion Show featuring local and regional fashion talent, Imogene + Willie, Billy Reid and Alabama Chanin. "I don't think there's ever been a fashion show in Nashville that's showcased the caliber of regional design talent that we have in the nD show. 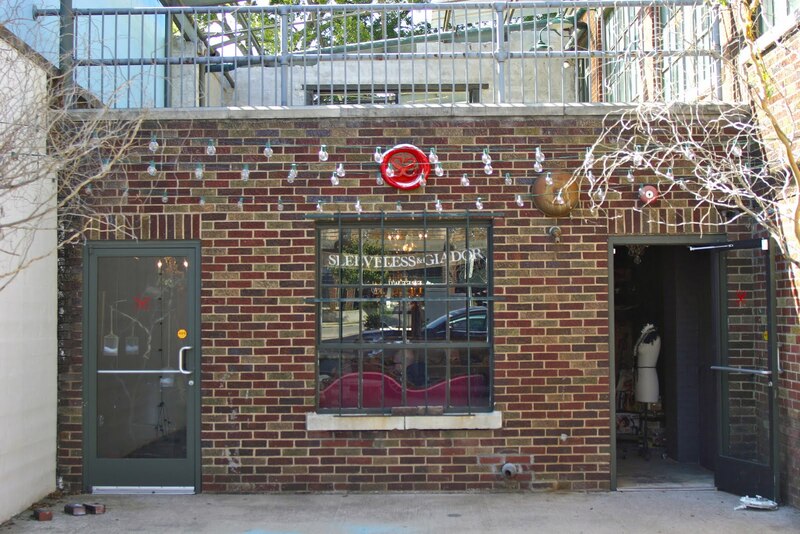 Of course, everyone who follows the Nashville retail scene knows that Imogene + Willie's clothes are designed and sold at their store on 12th Avenue South. But I'm not sure how many people realize that both Billy Reid and Natalie Chanin's Alabama Chanin lines are based in Florence, Alabama, which is just two hours away from here. It's exciting to have them all represented in this show," said Libby Callaway, nD Fashion Chair and former fashion editor of the New York Post. "We really wanted each fashion house to show their individuality in the show; we also wanted to make sure that the presentation feels organic and light. Therefore we asked each of them to cast their own models from their actual clientele. Luckily, Nashville is full of gorgeous people who love to shop, so this should be easy for them!" We're looking forward to next week's events. There are some great opportunities to get up close and personal with some amazing local and regional jewelry and clothing design talent. We've broken out the schedule so you can plan accordingly. Patron Level: $150 Belcourt members or $175 non-members. 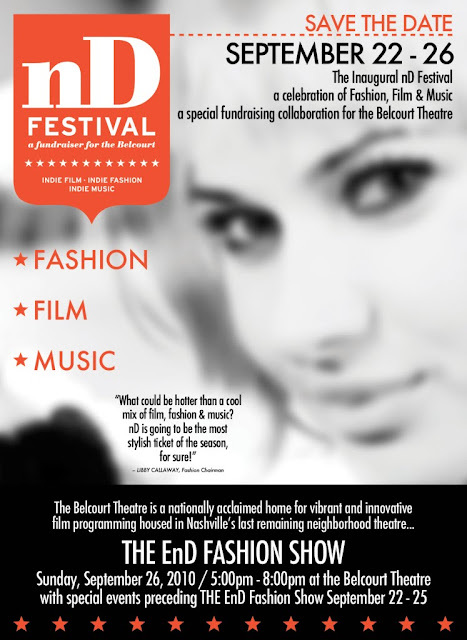 Ticket provides admission to ALL nD Festival events, including an exclusive Patron party, free reserve parking at the Belcourt and VIP seats at fashion show. Tickets are transferrable. THE EnD Fashion Show: $85 Belcourt members or $100 non-members. 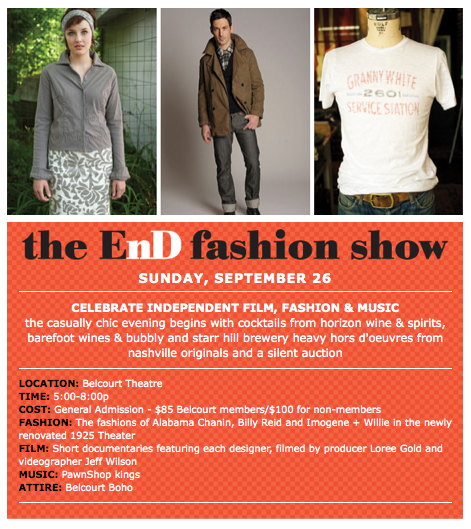 Ticket provides admission to THE EnD Fashion Show, Sunday, Sept. 26 at the Belcourt Theatre. Tickets can be purchased online at www.belcourt.org or by calling 615.846.3150 ext. 13. Indie Film. Indie Fashion. Indie Music. And indie boutiques. The nD Festival is the perfect way to celebrate Nashville's independent spirit all while supporting the Belcourt, a true Nashville original. Mizzie and I are getting very excited for our Girls DIY Day Out event with Nest Interiors this Saturday! Join us from 2-5pm for some Stella Shops, Mizzie Modifies and Nest fun...which of course includes champagne and sweet treats. Mizzie will have some of her favorite Mizzie Modifies projects on display and she's going to help me turn a thrifted navy blazer I bought last year into something a little less boring that I'll actually wear this season. 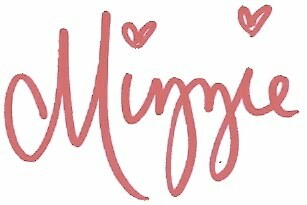 Talk to Mizzie about those fashion DIY projects you're just not sure what to do with or that you haven't had time to finish. Bring those projects with you! Mizzie will help you turn them into something new and fantastic. We are loving the new Fall merchandise at Nest right now and lucky for you, you can take 20% off your purchase on Saturday, excluding consignment items. And if Mizzie helps you with a modify project, you can take an additional 5% off of your purchase! Grab some friends and come hang out with us. See you Saturday! Carla and I recently attended the Grand Opening of Sleeveless in Edgehill Village here in still sunny Nashville. Jessica Maros and Kyah Hillis are the brilliant designers behind this gorgeous and creatively named accessories line. We were highly impressed with the attention to detail given to the opening and even more impressed with the details in the goods on show. 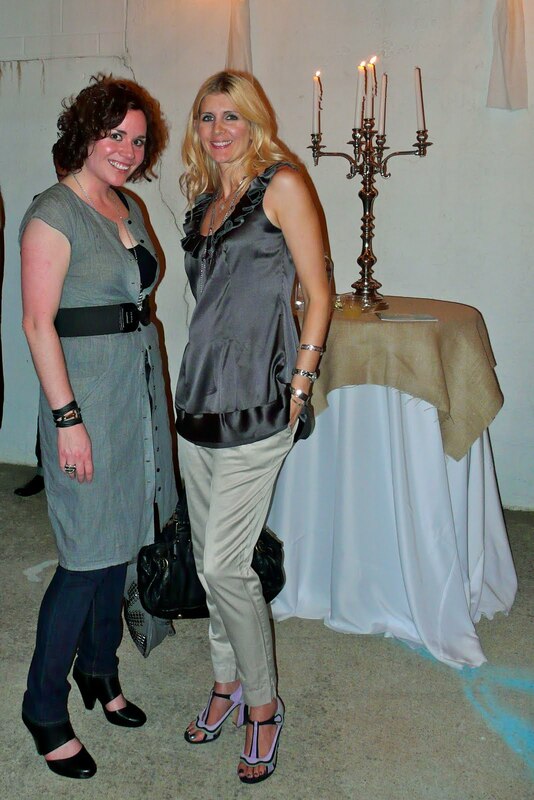 I fell in love with a silver and gold leather cuff called Edward that I like to think was custom made for me and Carla liked this leather Hook bracelet so much she took advantage of the extra discount given if purchased on the night of the opening. We're closing in on the final days to vote in the Nashville Scene's Best of Nashville Reader's Poll. You can vote daily through September 8. We hope you're still voting for your favorite local boutiques, restaurants and businesses. And we'd love it if you'd vote StellaShops.com Best Local Blog! You've made it this far...now please keep voting! Your support means so much to us. Thank you!! The Studio 615/Sole of 615 Sidewalk Sale starts Friday! All summer shoes & clothing will be marked down to 50-90% off Friday Saturday and Sunday. The Hip Zipper in East Nashville has a huge sale going on through the end of September. All men's or women's short-sleeved or sleeveless items are 25% off. This includes summer dresses, cowboy shirts, sweaters and leather vest. Also ladies purses, bags, shoes, boots, etc are 40% off! 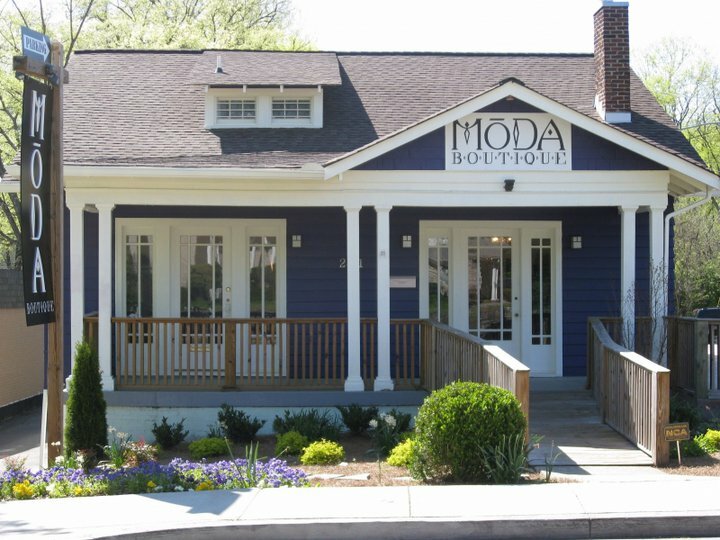 Sidewalk Sale at Moda Boutique on 12 South! Buy 2 Get 1 Free on over 150 items at 60-75% off Friday and Saturday. There are some fantastic deals here, so make sure you stop by. Your mission this weekend, should you chose to accept it, is to go to Two Elle and purchase the gray Modern Amusement leather motorcycle jacket. It's very on sale! It's fabulous! It's not in my size. (Boo.) It needs to go home with someone and that someone is you. :) There are a lot of things at Two Elle that should go home with you this weekend, so head to the Hill Center and get it done. While you're at the Hill Center, stop by Monkee's, purchase a new pair of Frye boots,heels or flats and get registered to win a Frye Carson Shoulder Bag in Dark Brown. Closet Case Vintage has some fantastic pieces marked 50% off in the Etsy shop! 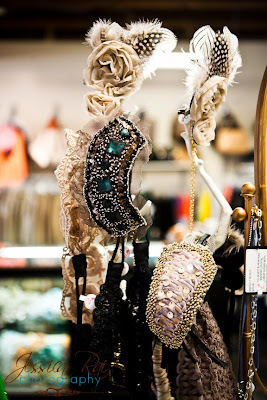 While you're out shopping this weekend, make sure you visit Carmen at her retail store inside Katy K's on 12 South. 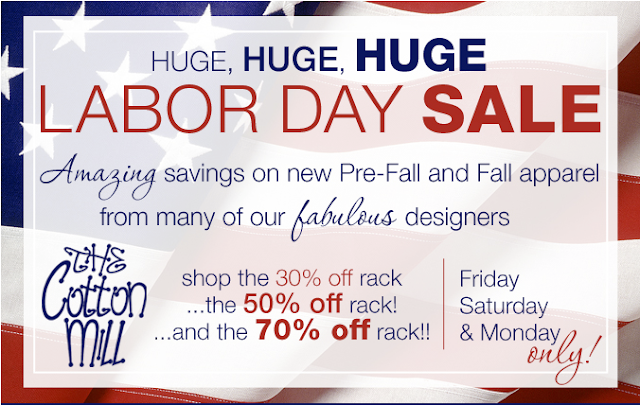 JUST ADDED.....It's a Pre-Fall Labor Dale Sale at UAL! The entire store is on sale this weekend. Purses & belts are 20% off. Jewelry is 10%. Mark & Estel is buy one, get one half off. Select LNA is Buy one, get one FREE and all Couture and Contemporary is 10%-50% off. You'll be seeing lots more of UAL here in the very near future. The store is packed with some incredible fall pieces right now. This is definitely the weekend to get some great finds at an even deeper discount. Our Girls DIY Day Out at Nest Interiors is just around the corner. Join us Saturday, Sept. 18 from 2-5pm for an afternoon of fashion DIY fun with Mizzie and her Modifies! Bring those Modifies projects with you and Mizzie will help you turn them into something fabulous for Fall. Have a fantastic long weekend! Be sure to follow us on Facebook and Twitter. We'll update sale information throughout the weekend. And please keep voting! !